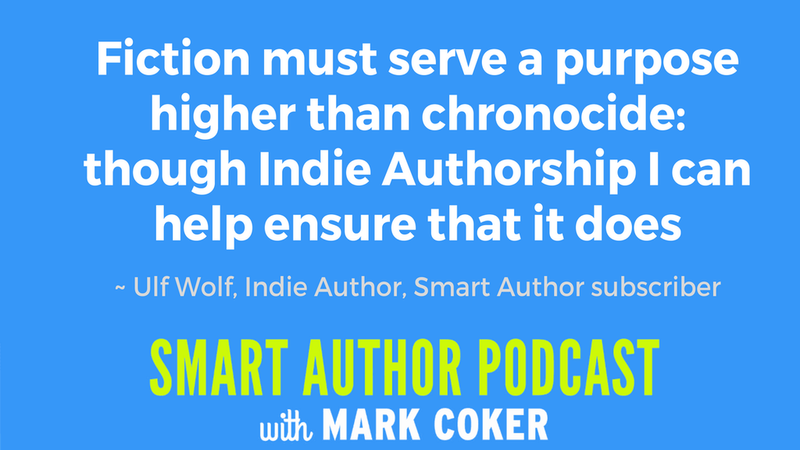 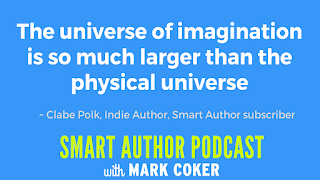 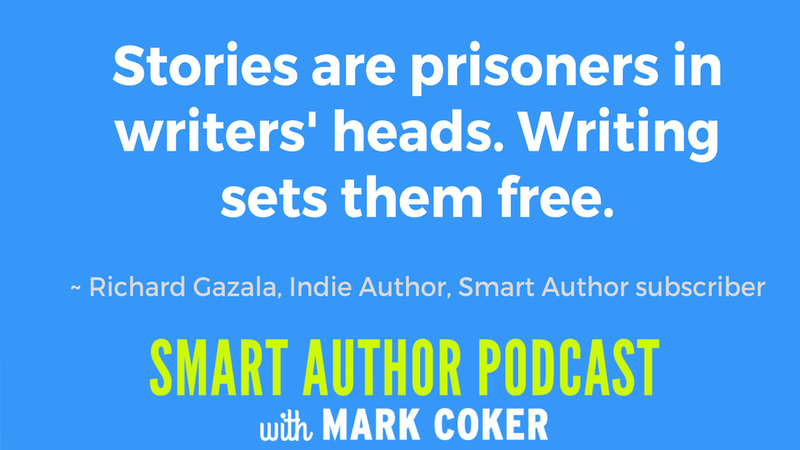 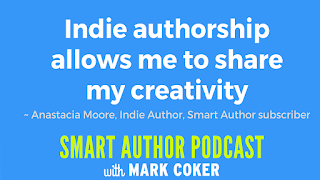 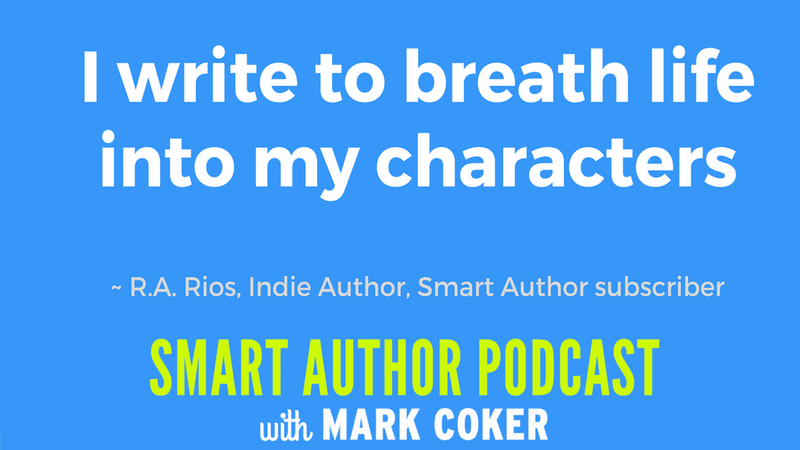 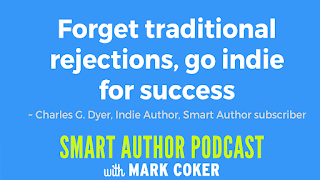 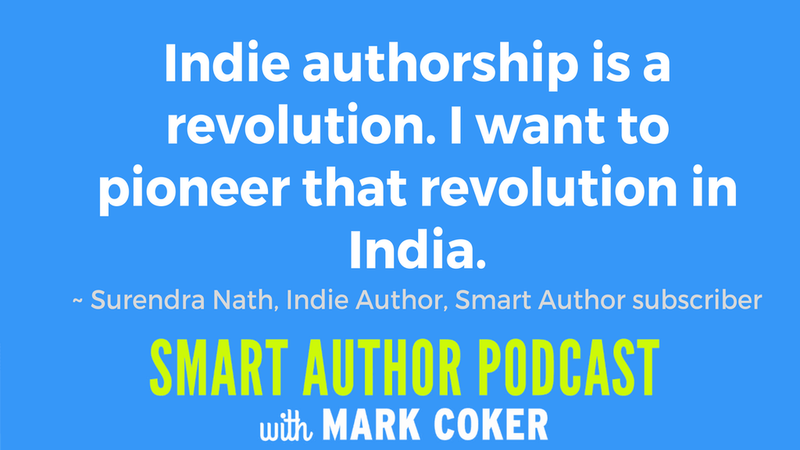 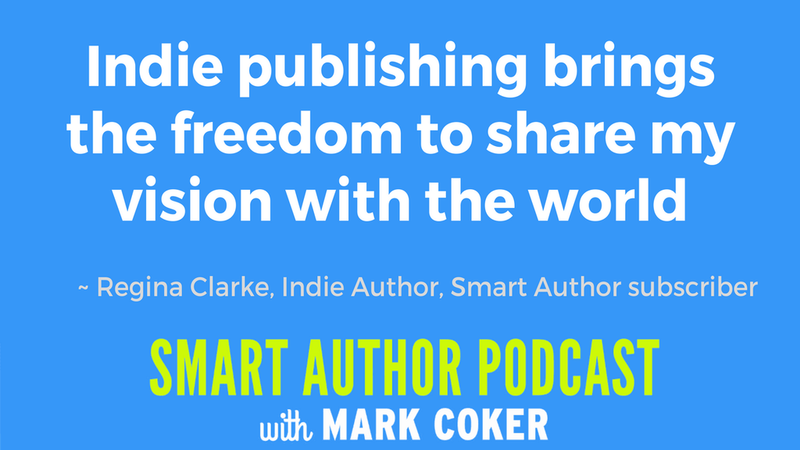 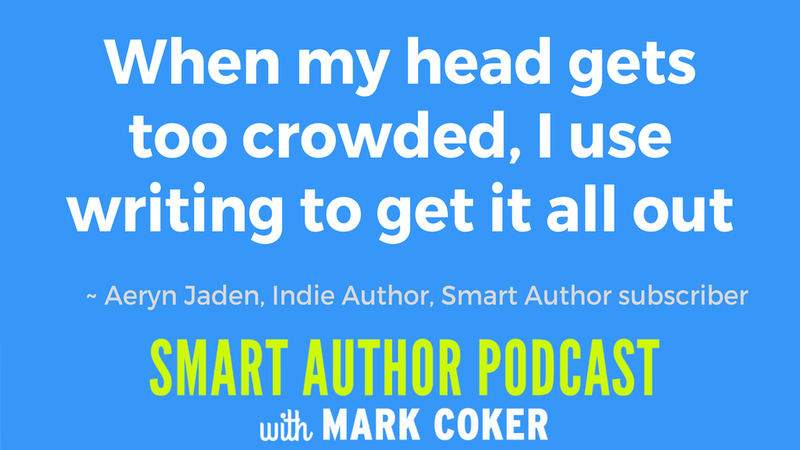 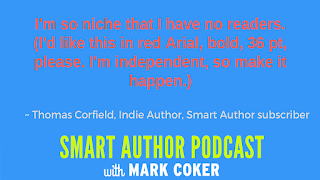 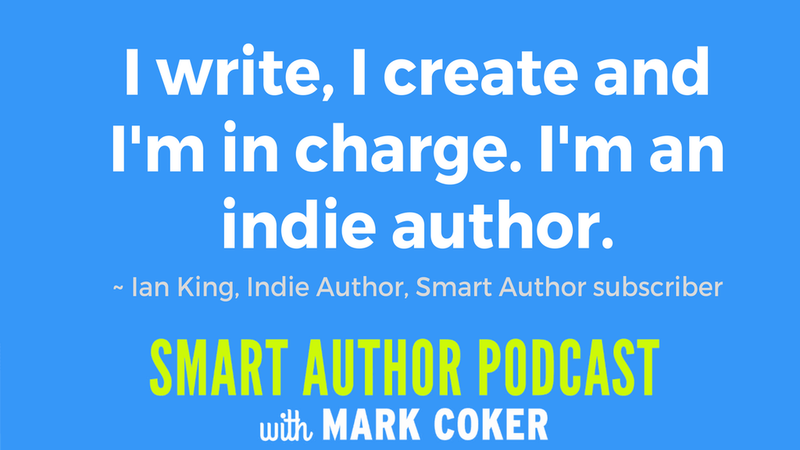 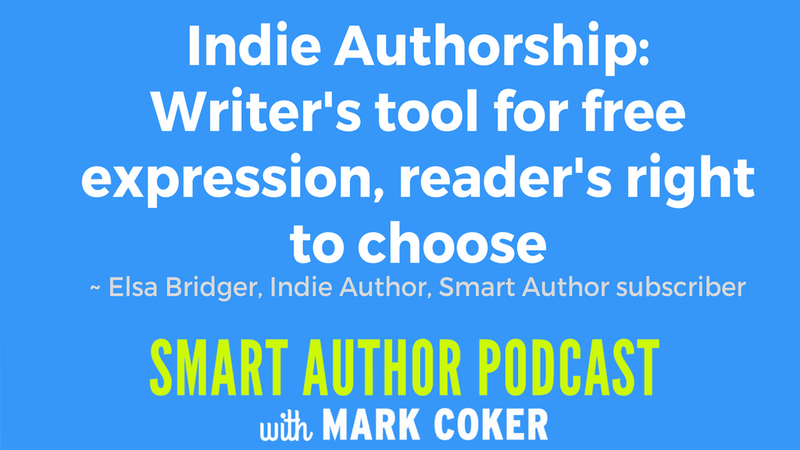 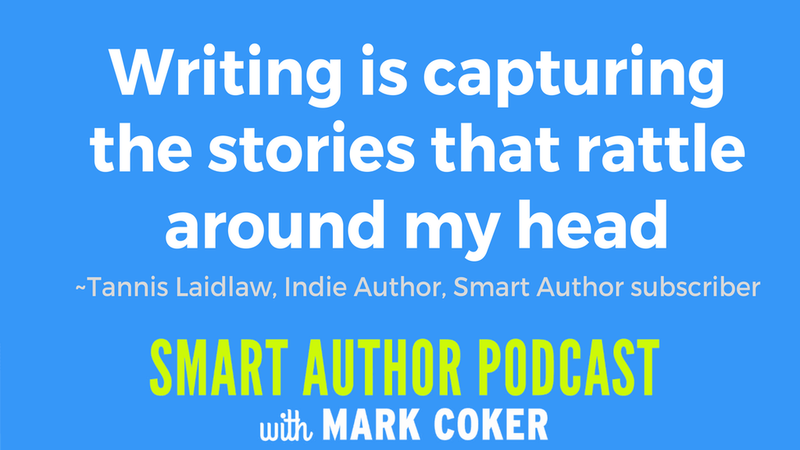 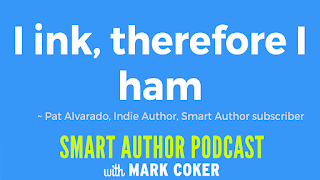 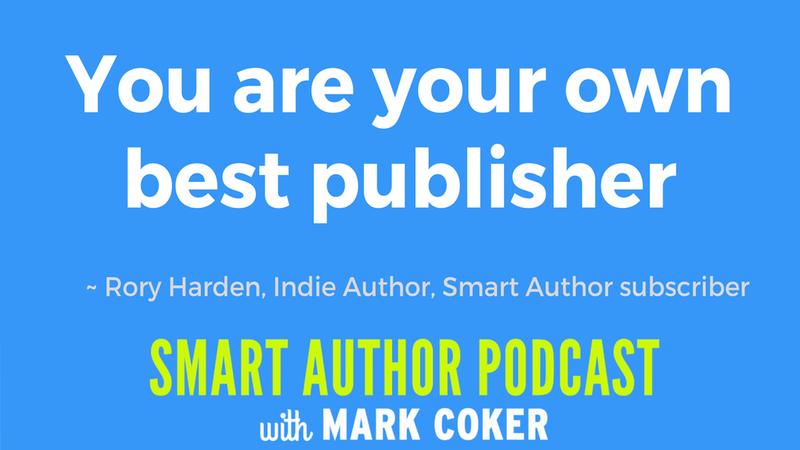 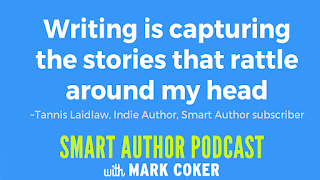 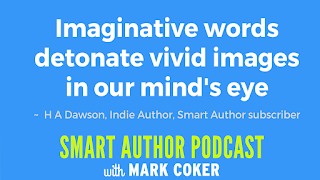 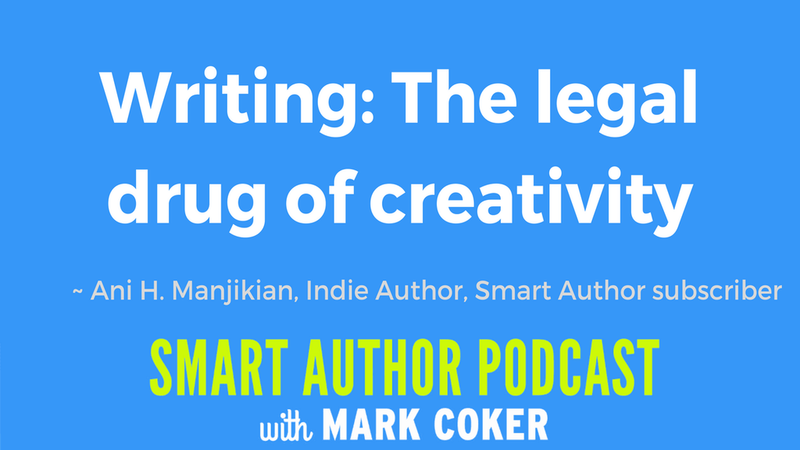 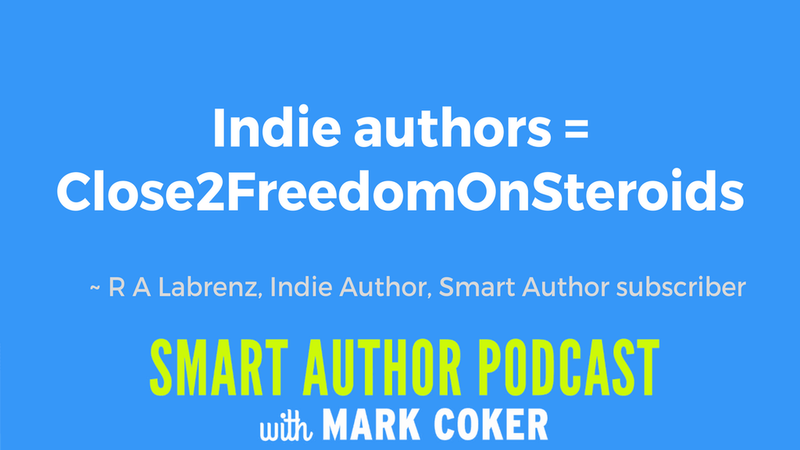 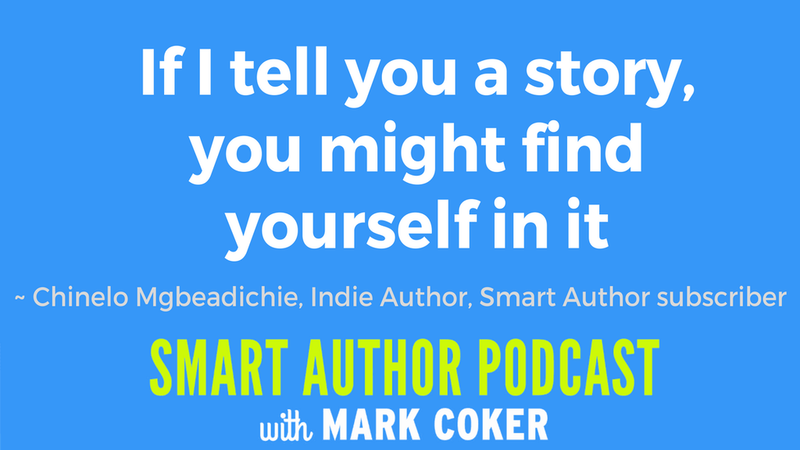 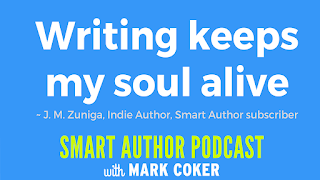 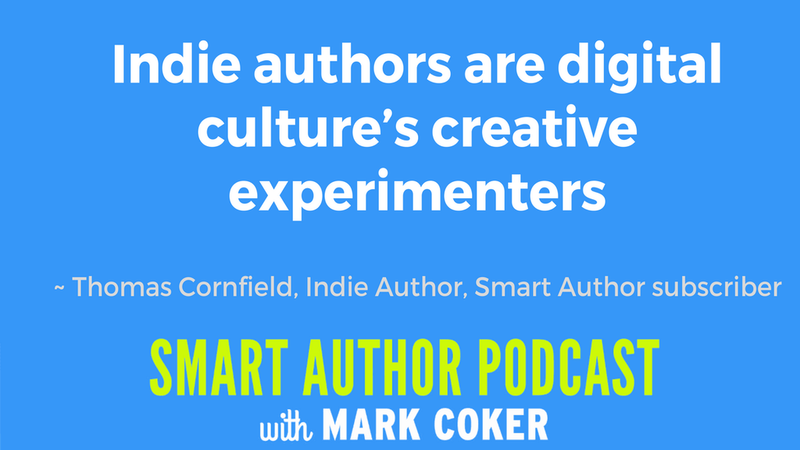 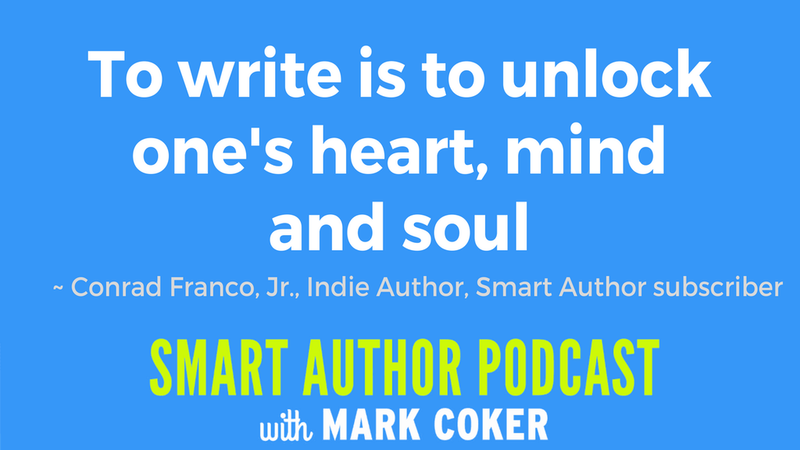 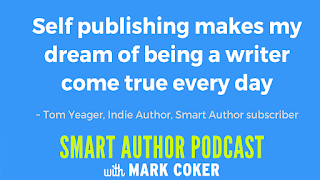 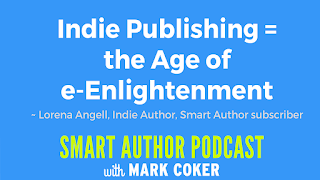 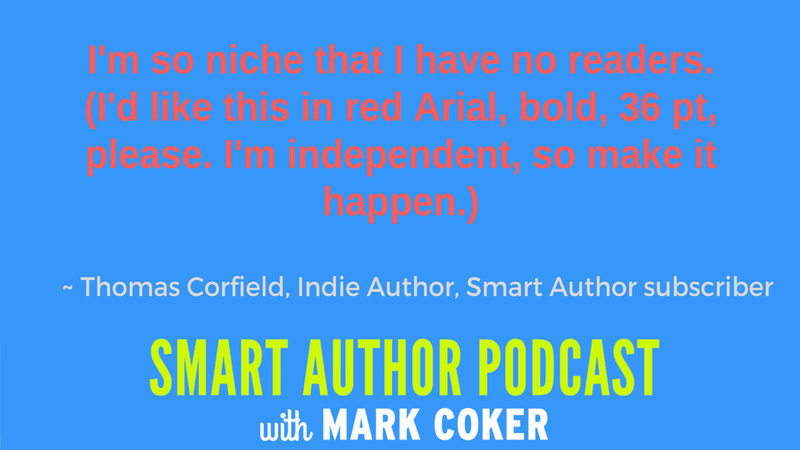 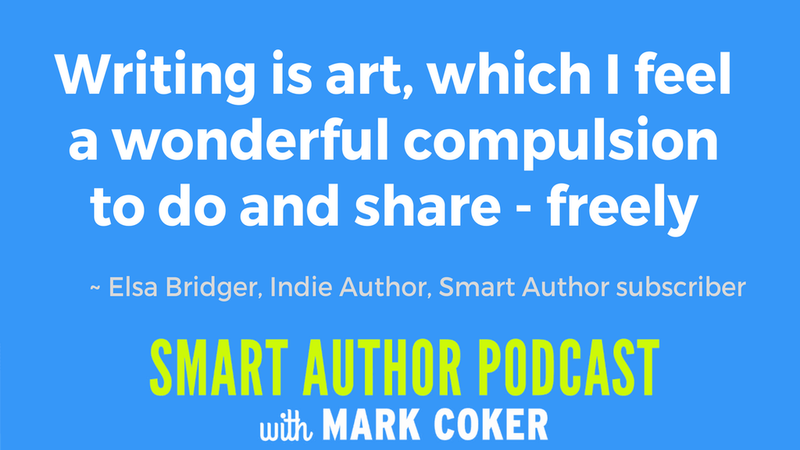 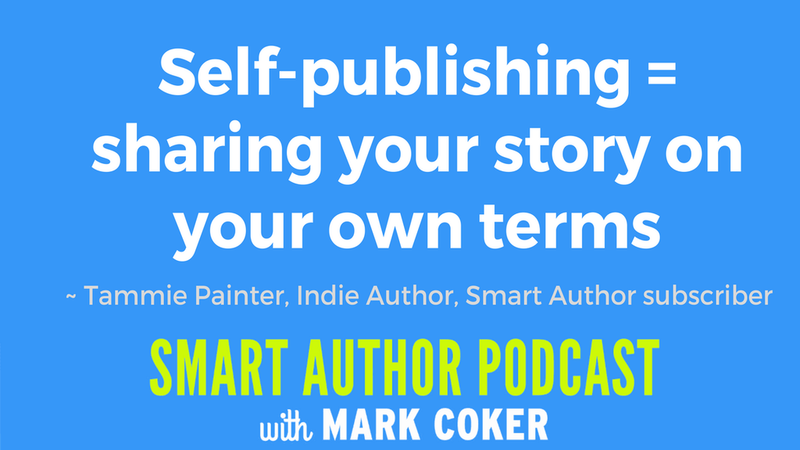 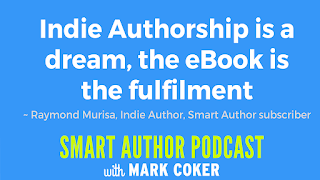 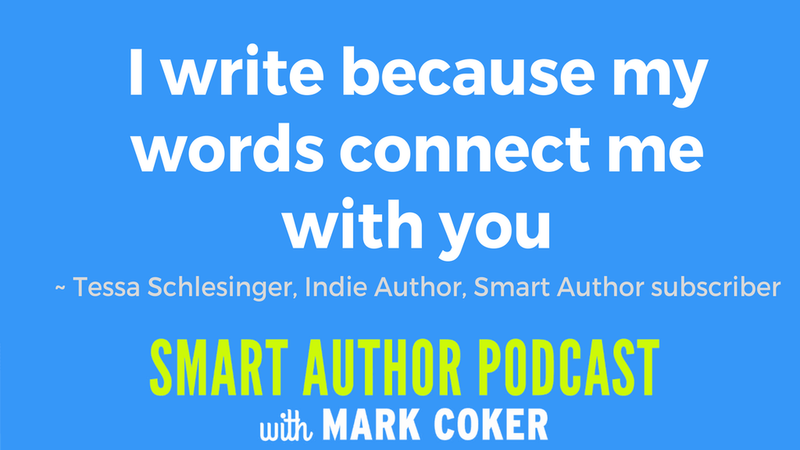 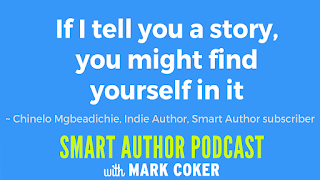 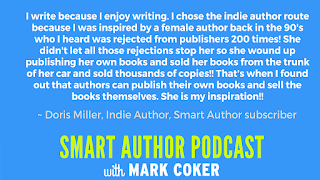 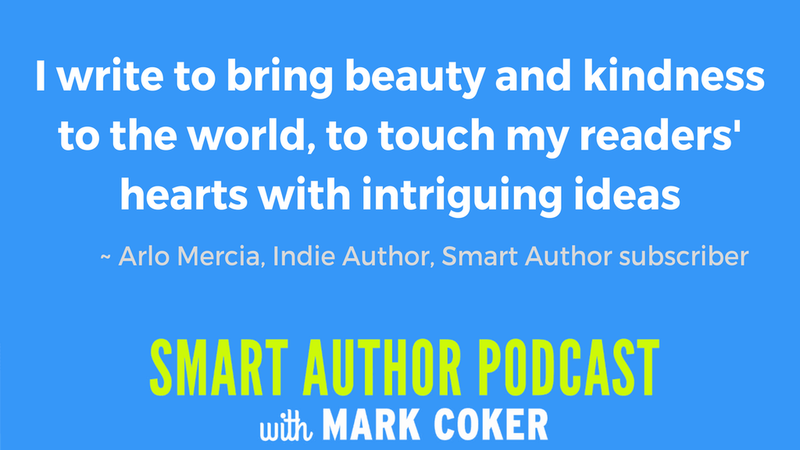 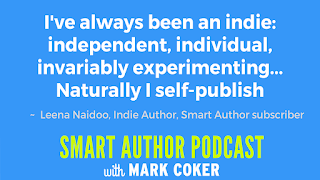 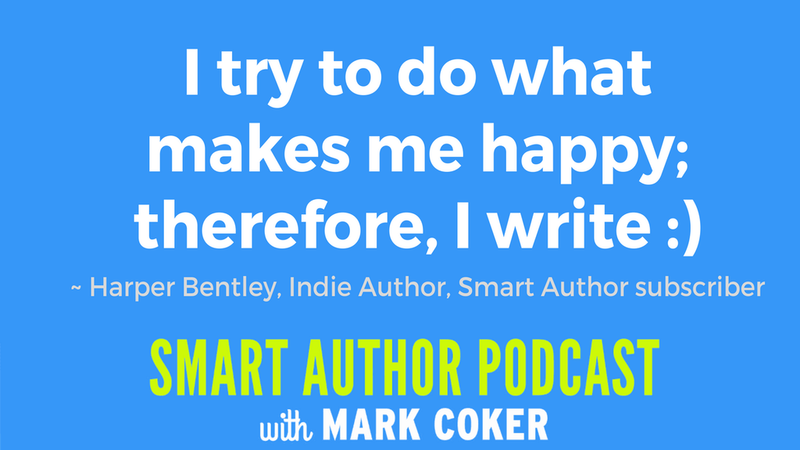 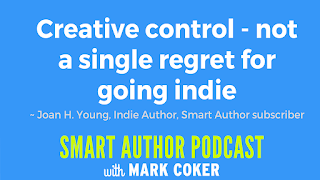 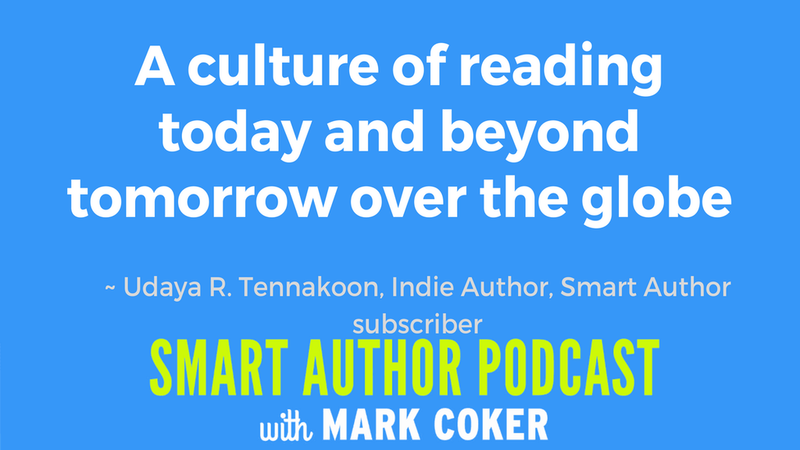 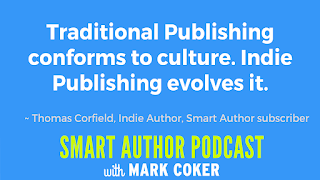 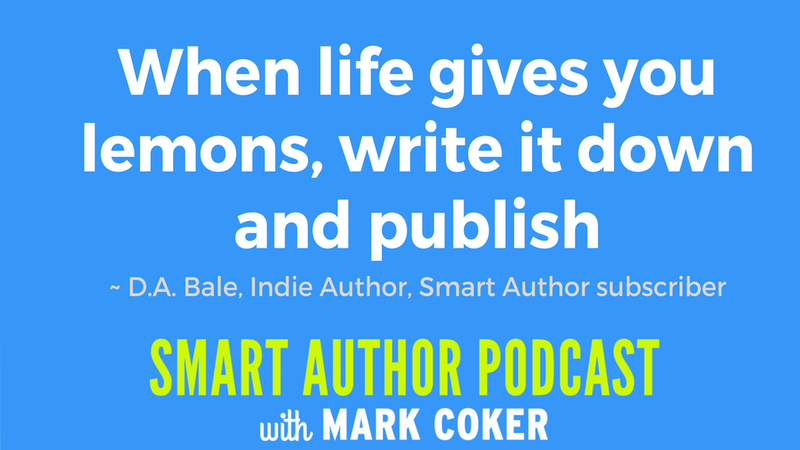 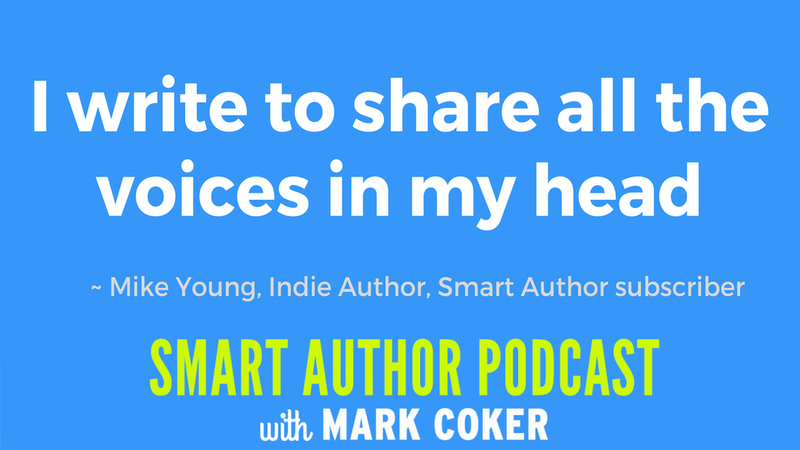 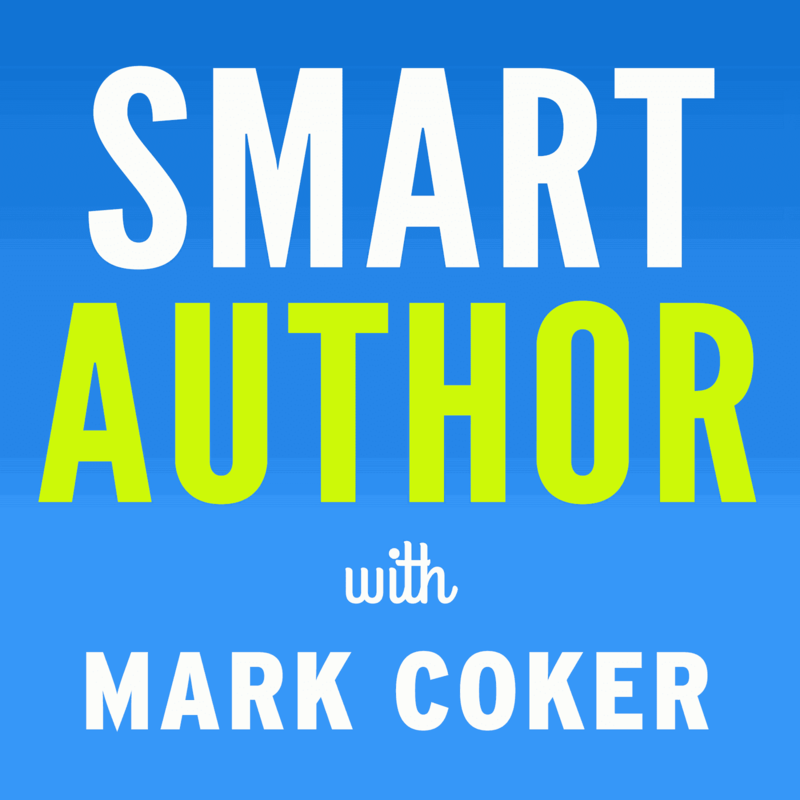 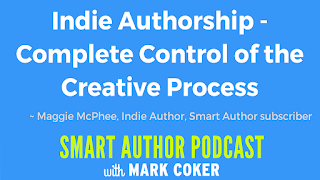 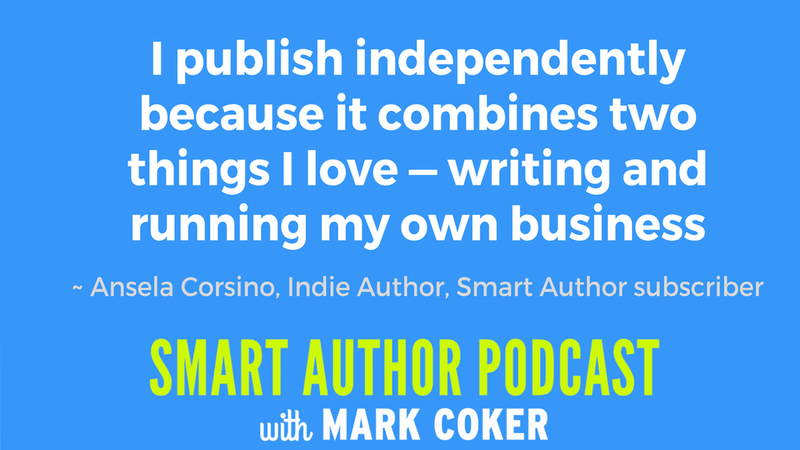 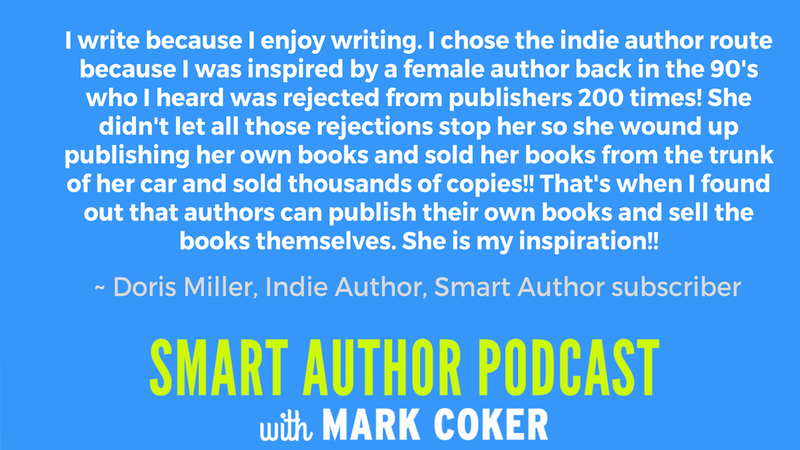 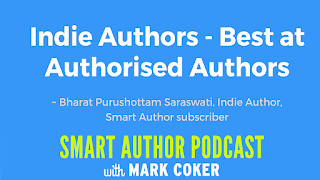 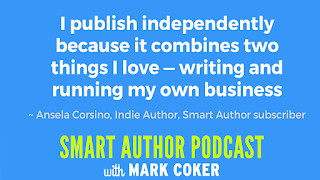 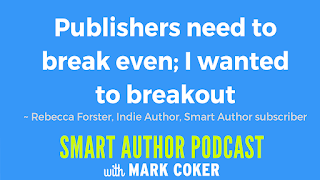 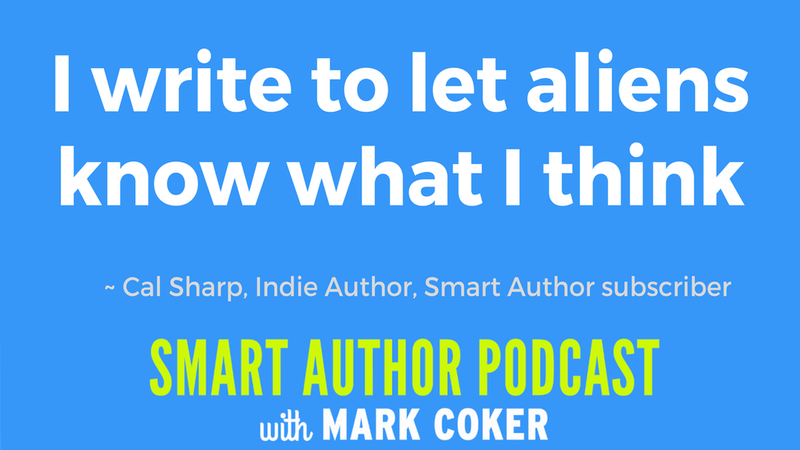 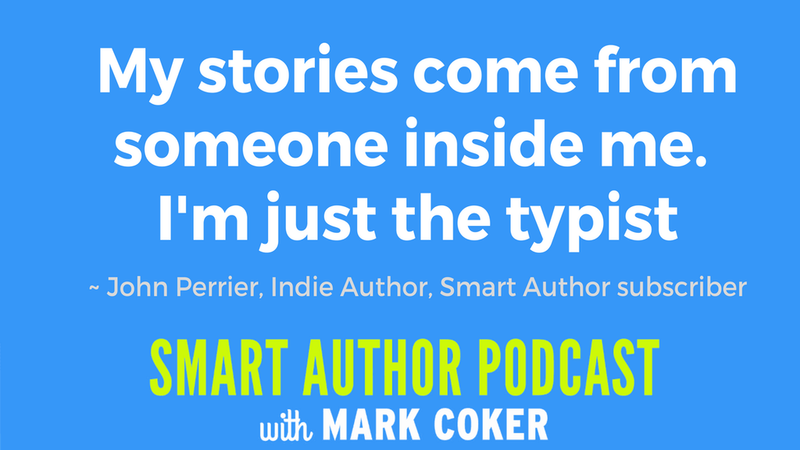 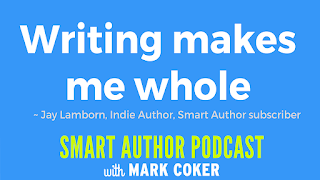 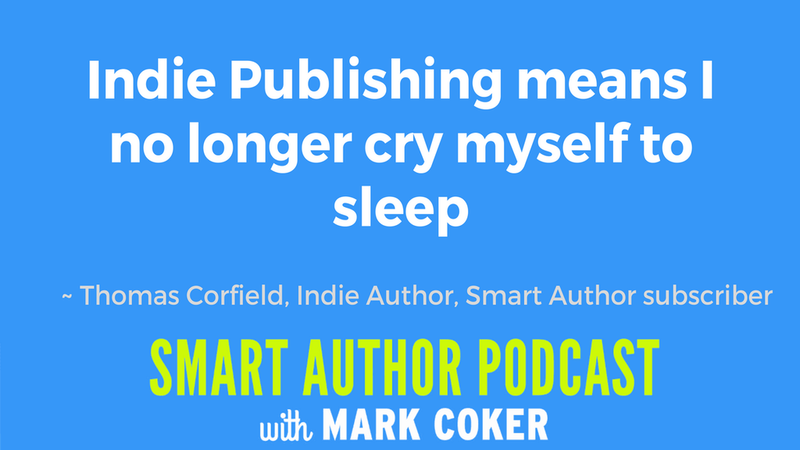 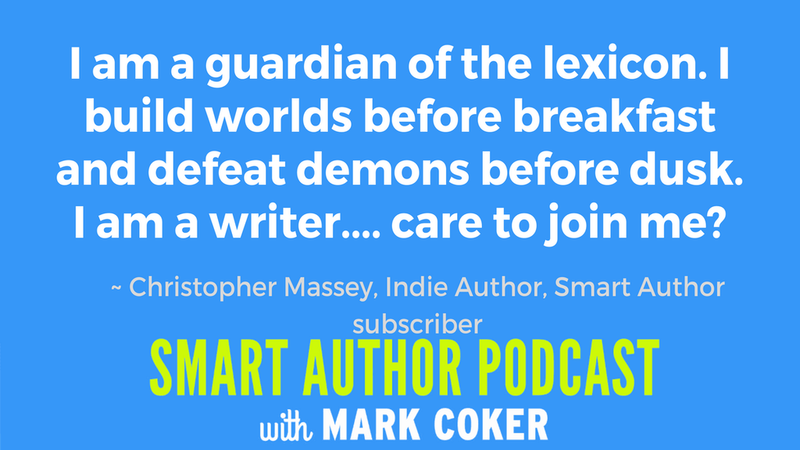 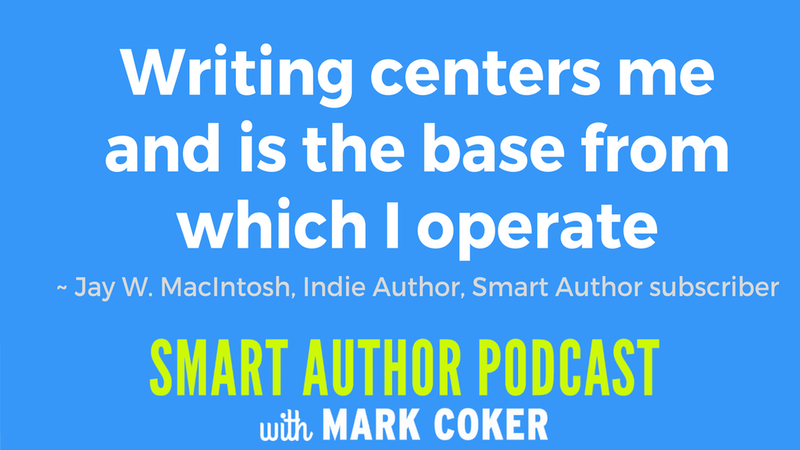 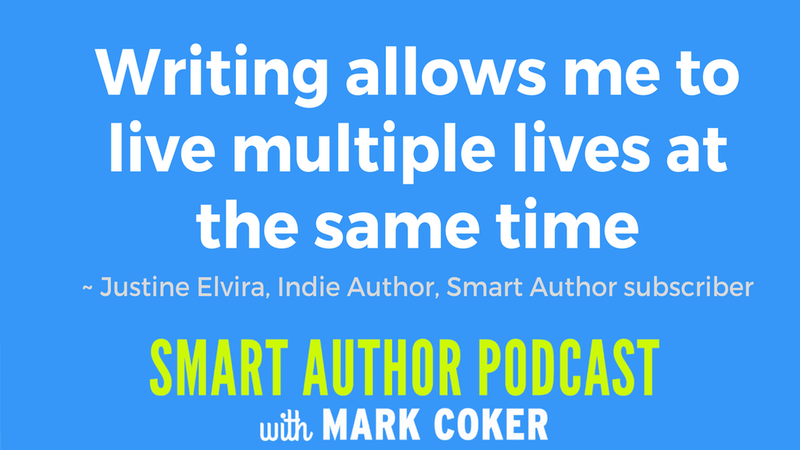 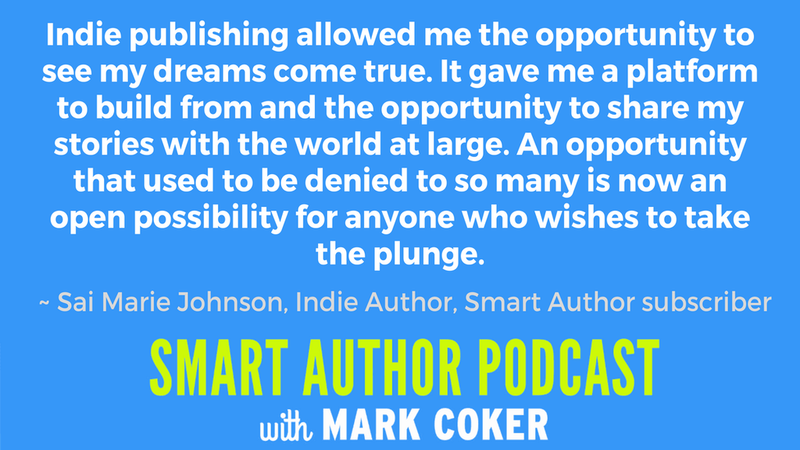 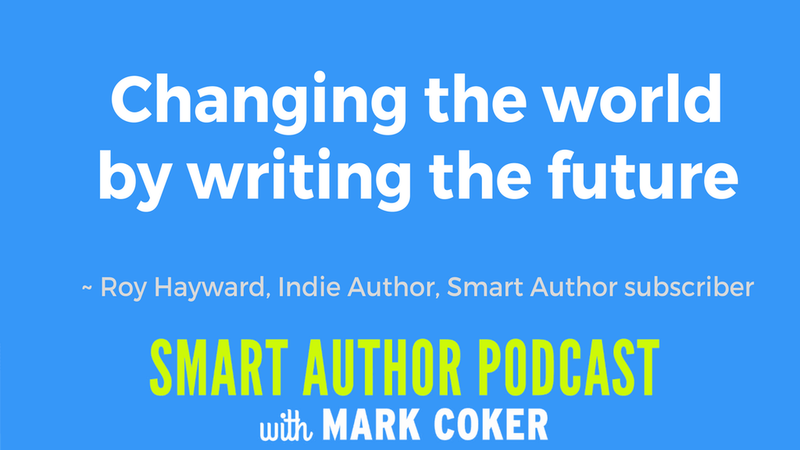 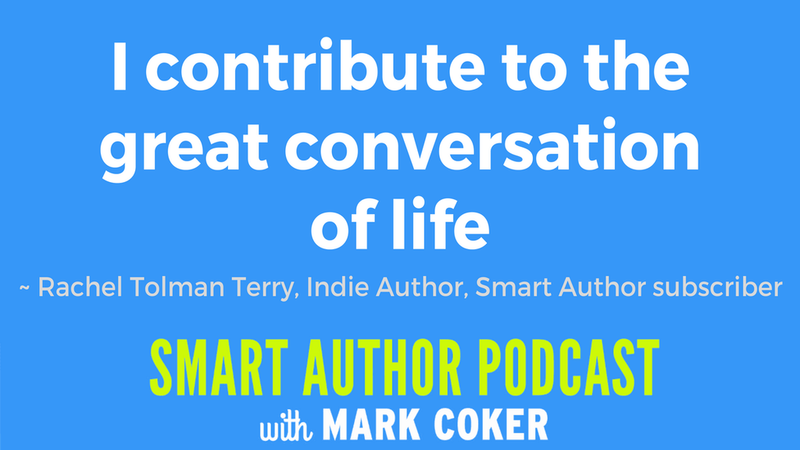 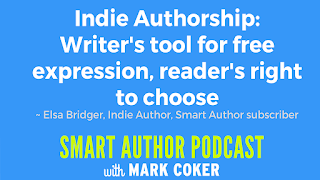 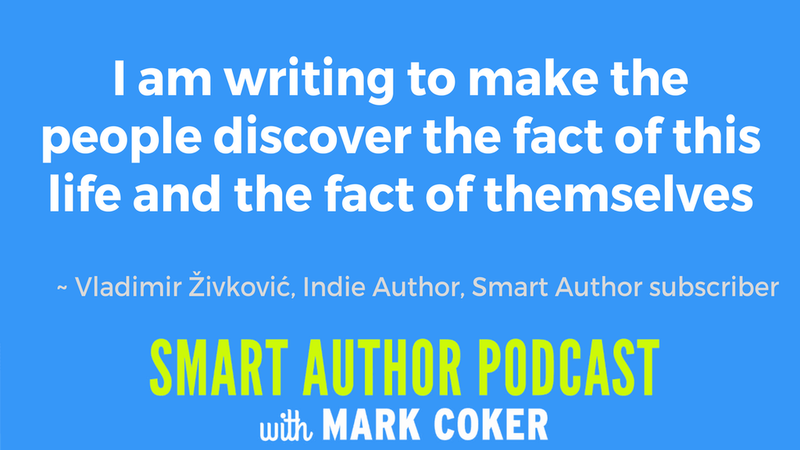 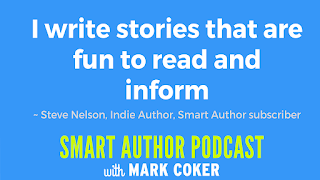 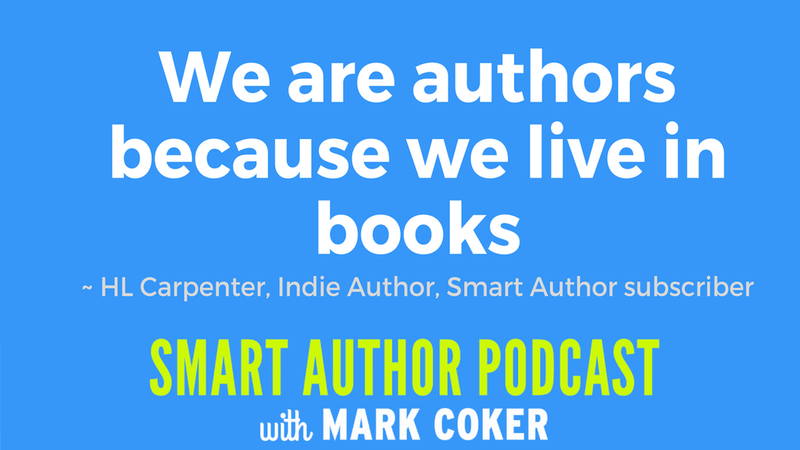 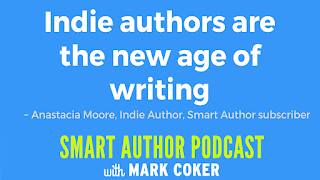 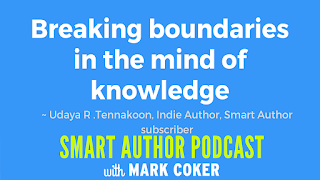 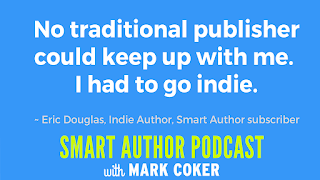 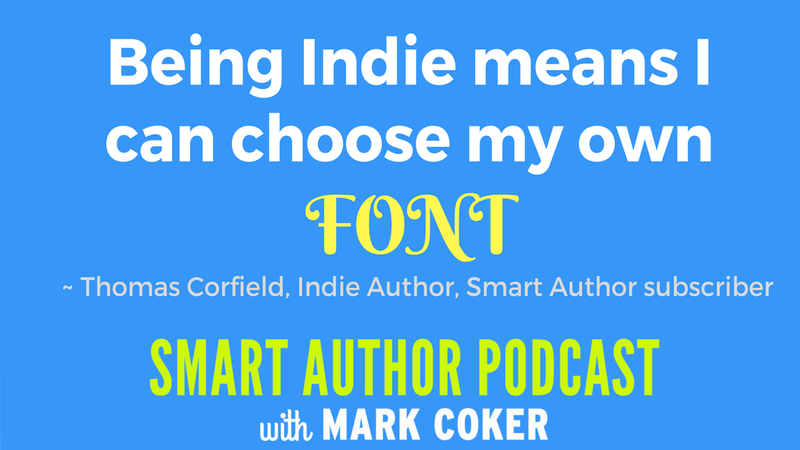 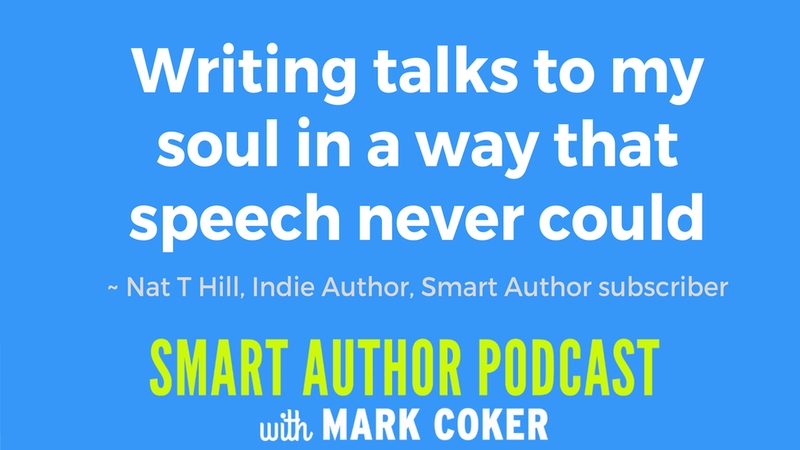 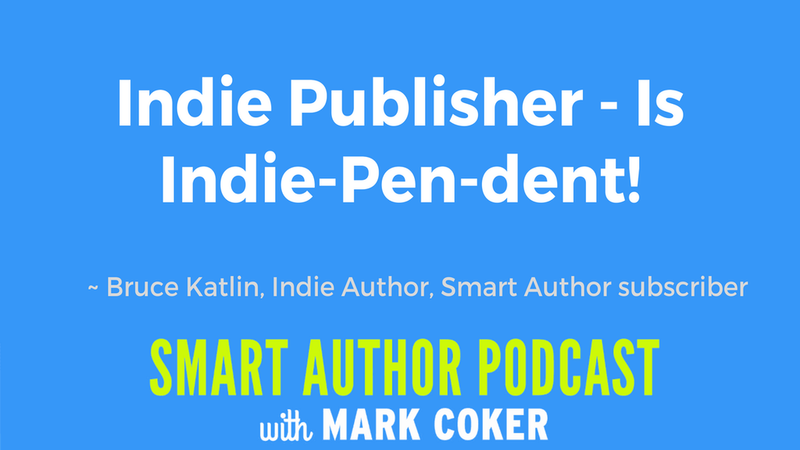 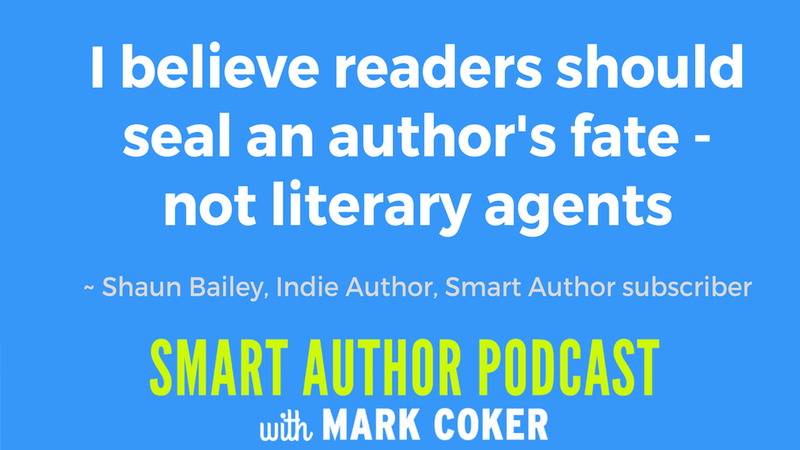 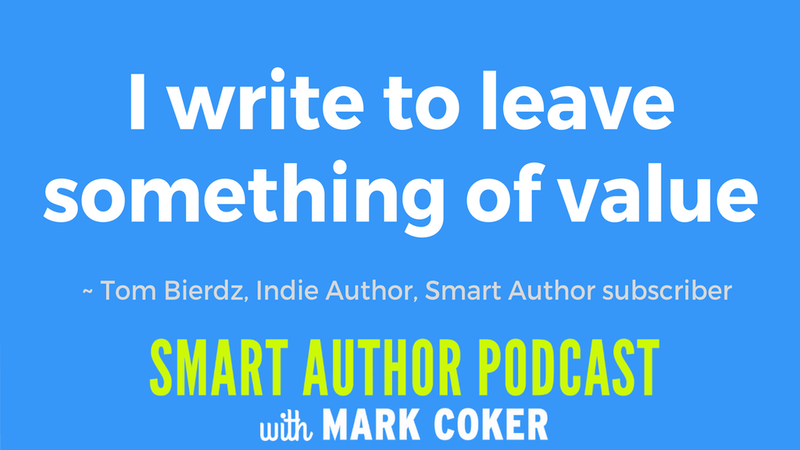 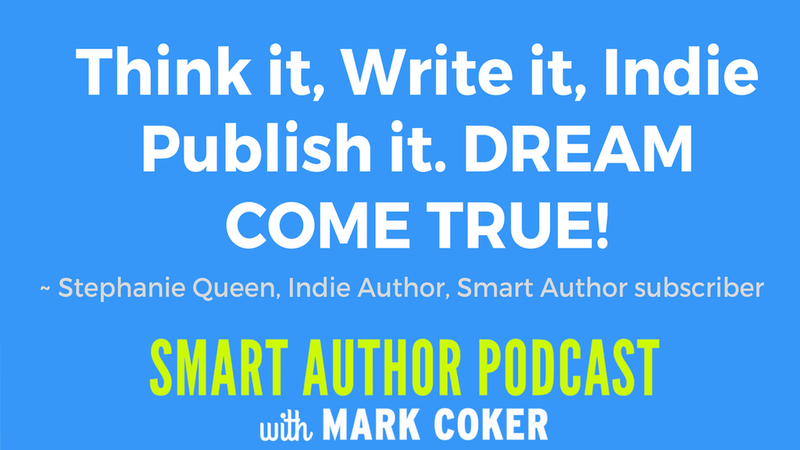 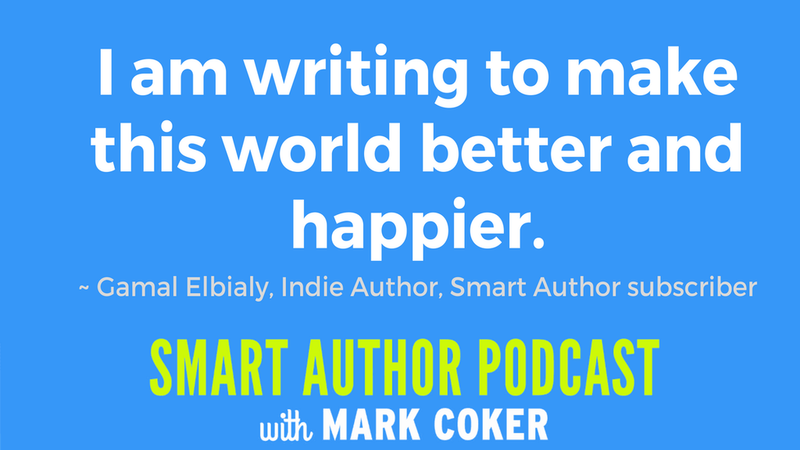 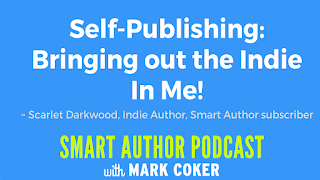 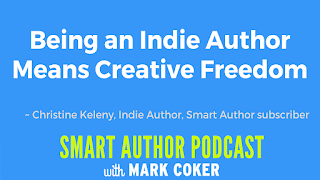 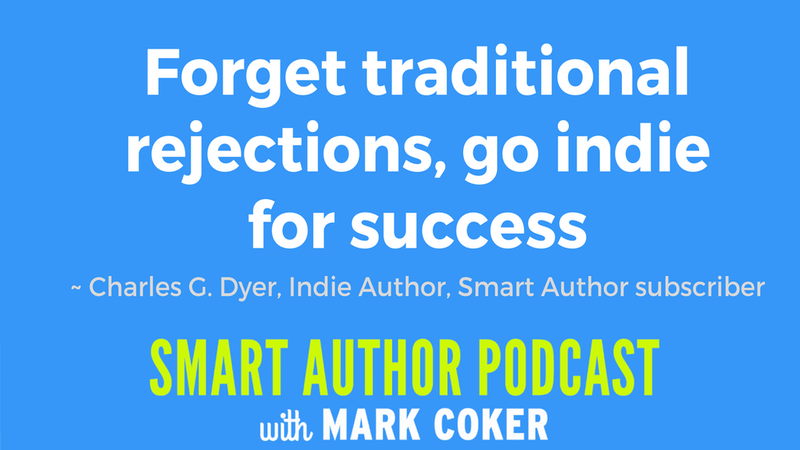 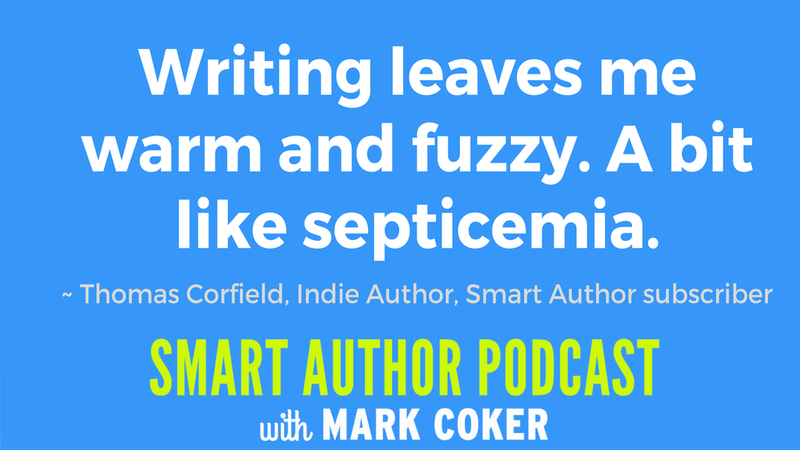 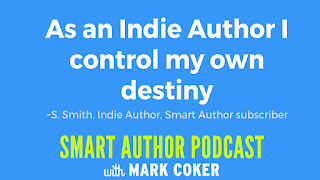 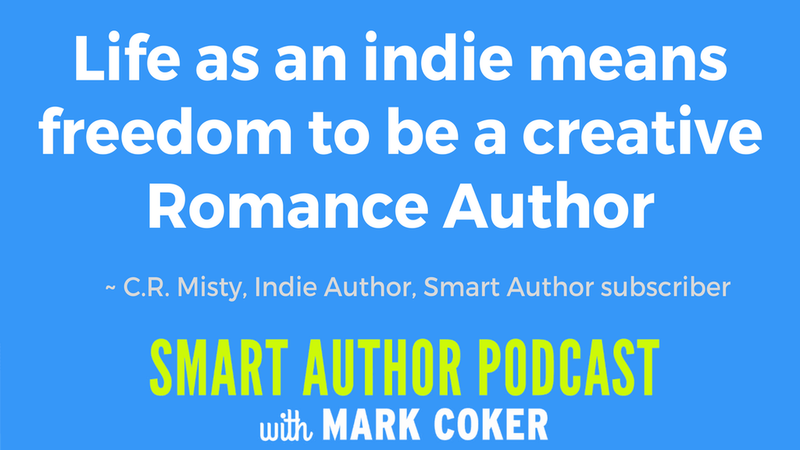 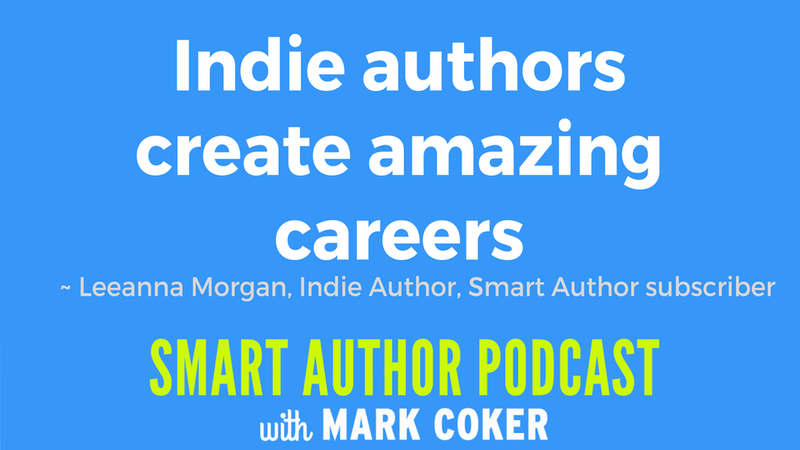 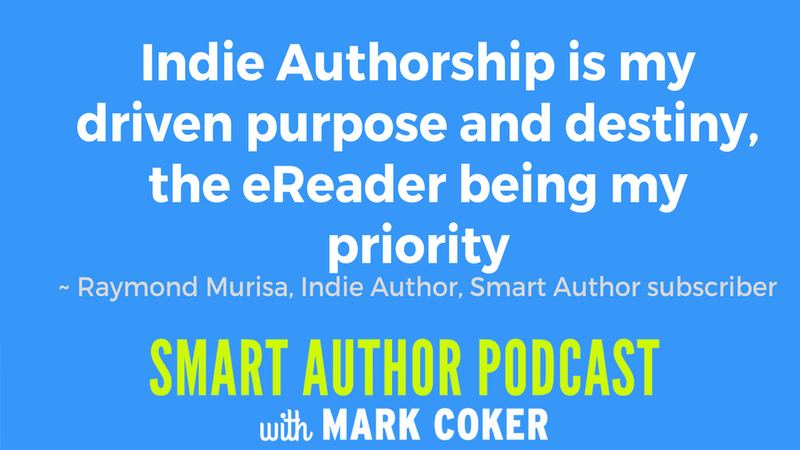 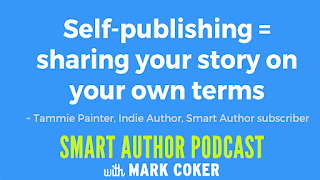 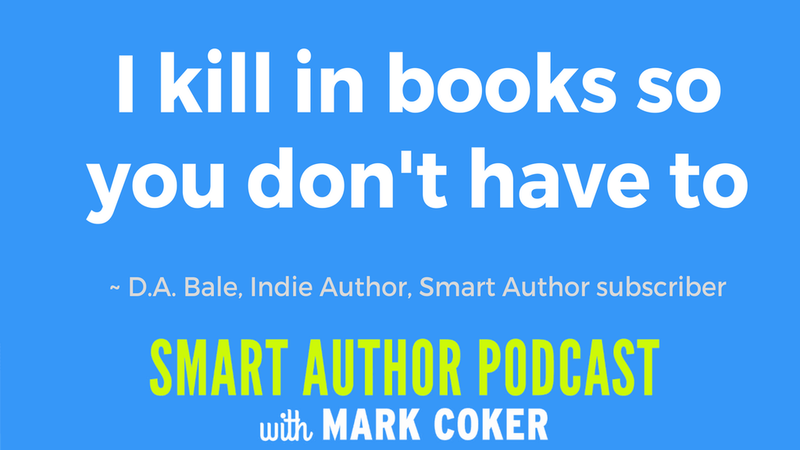 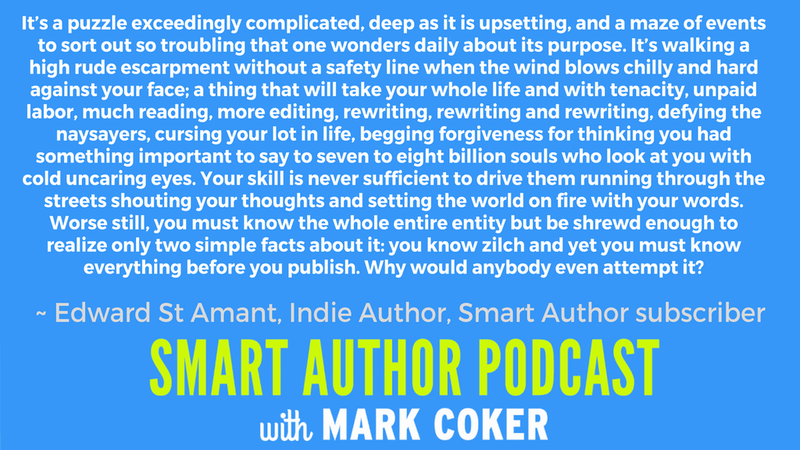 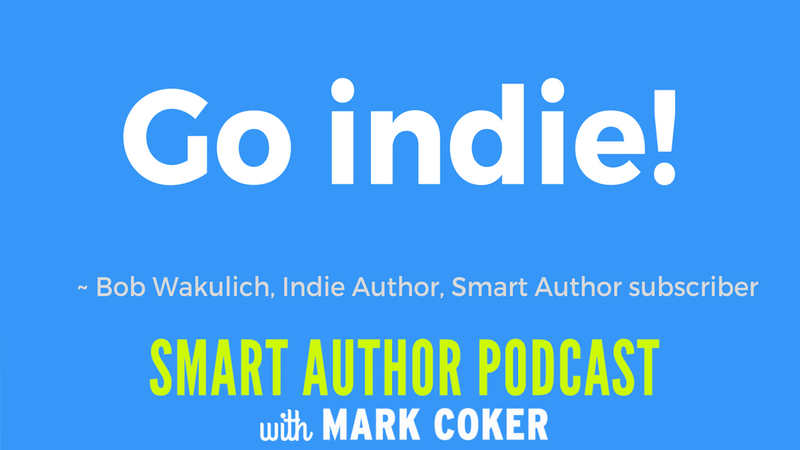 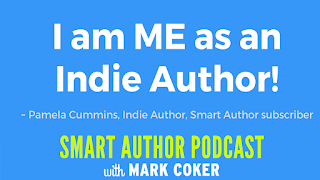 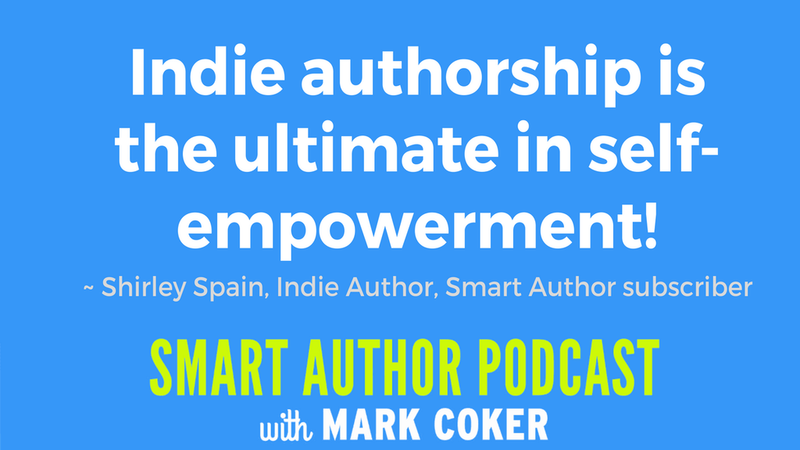 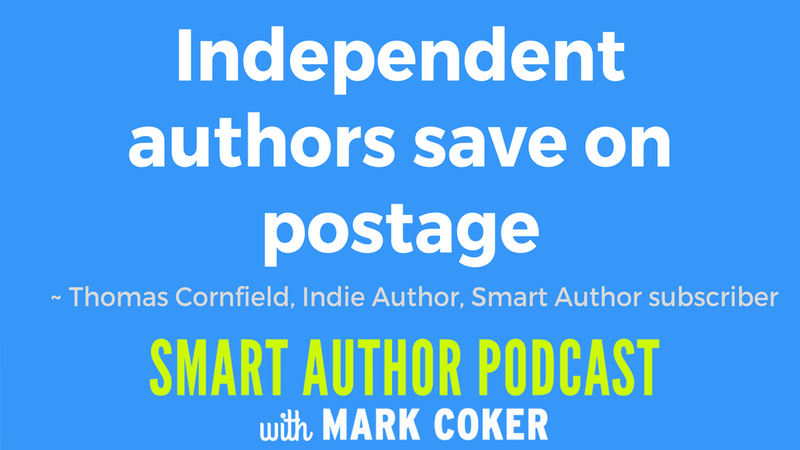 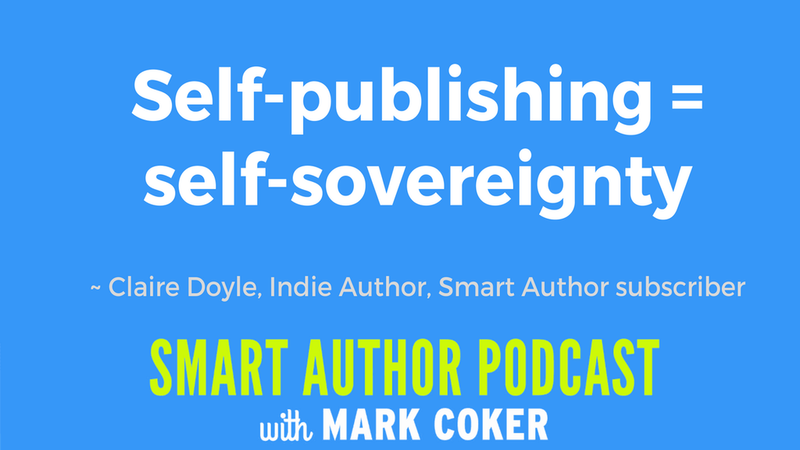 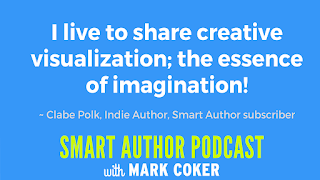 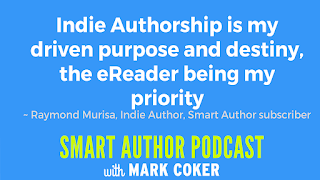 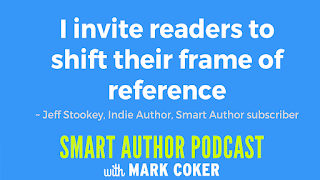 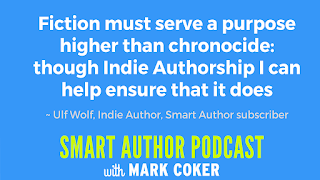 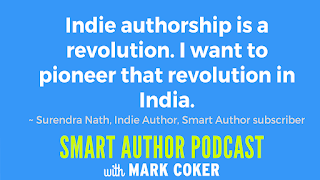 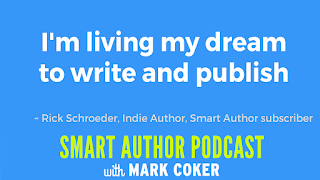 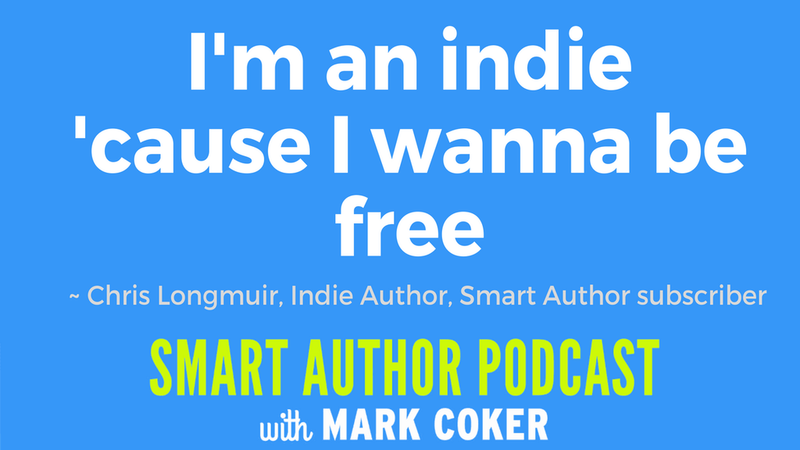 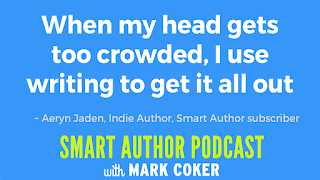 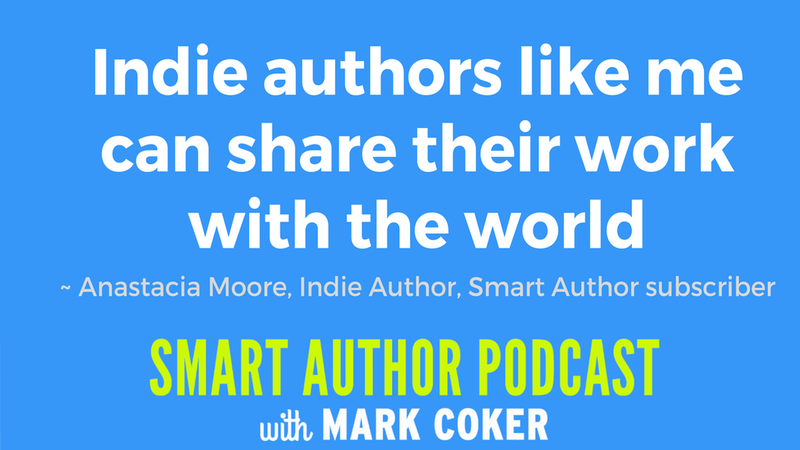 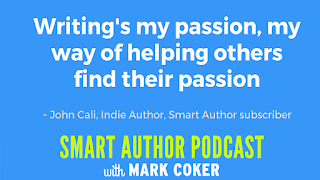 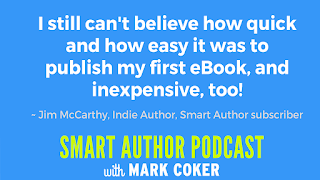 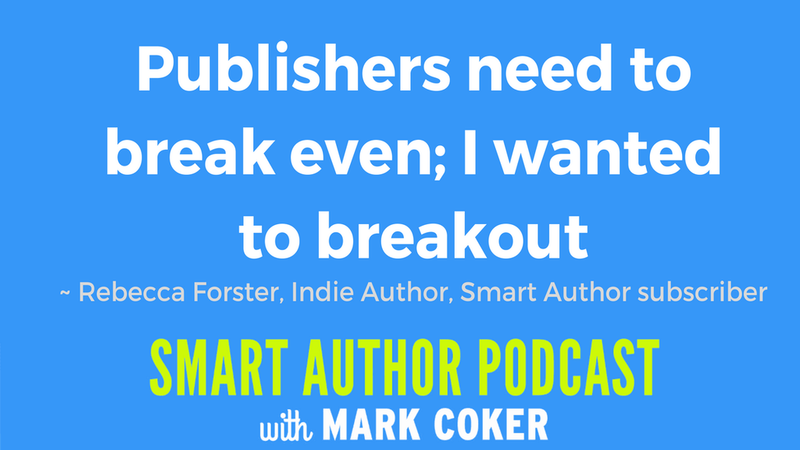 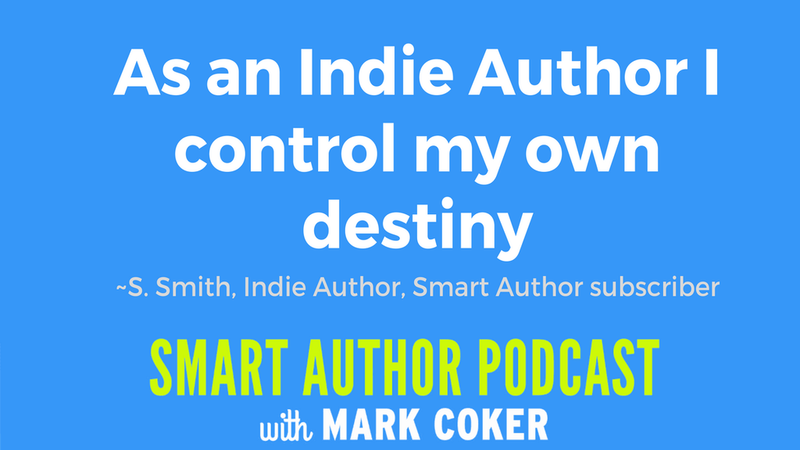 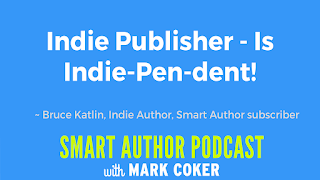 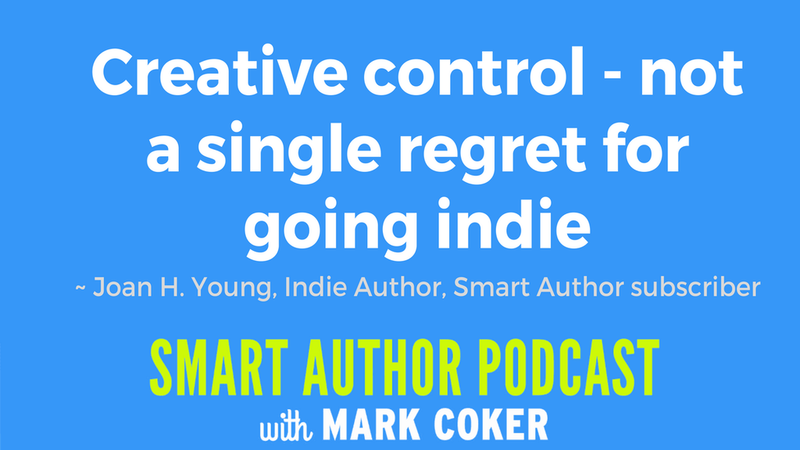 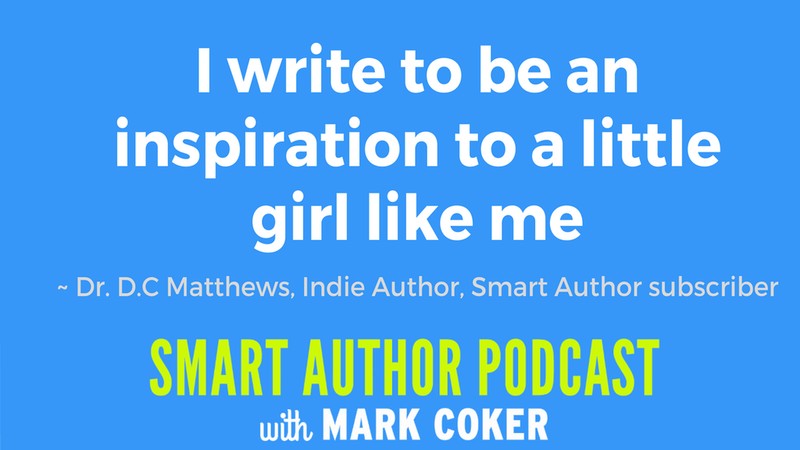 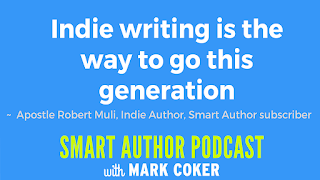 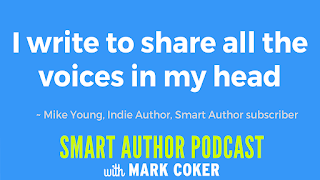 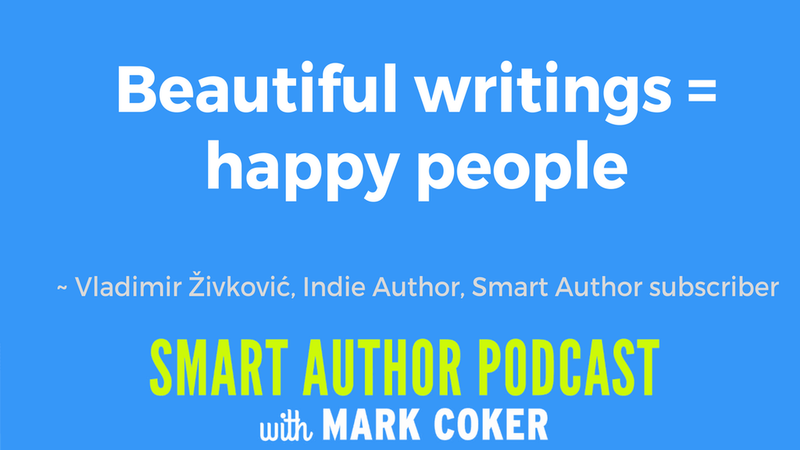 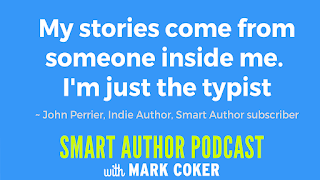 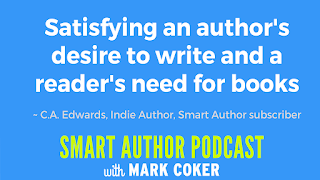 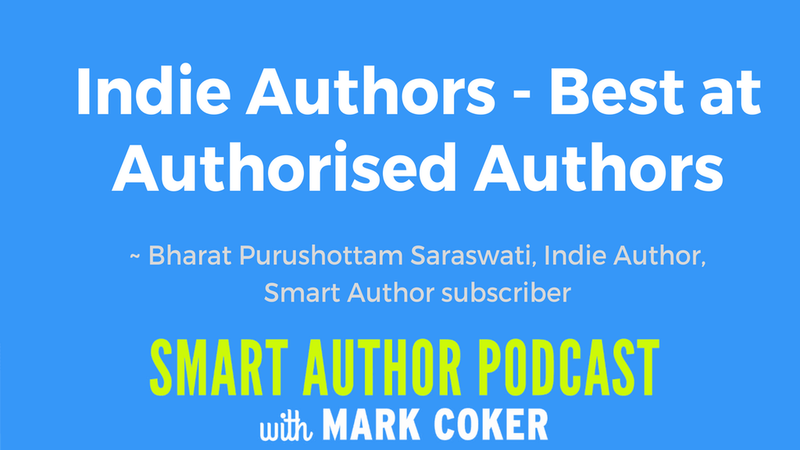 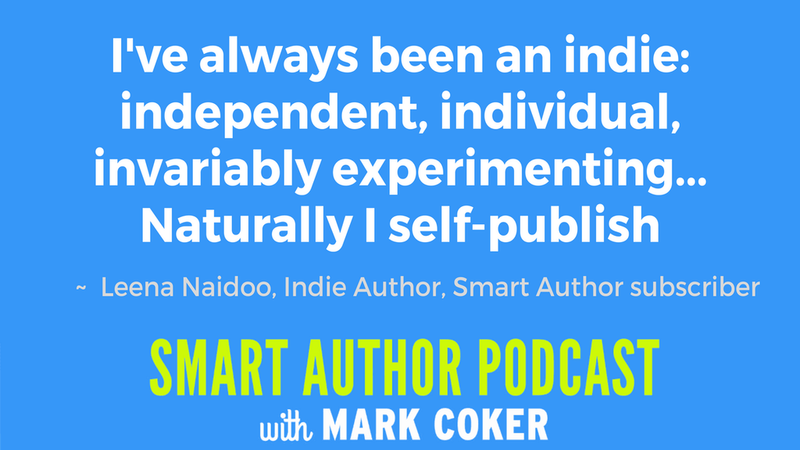 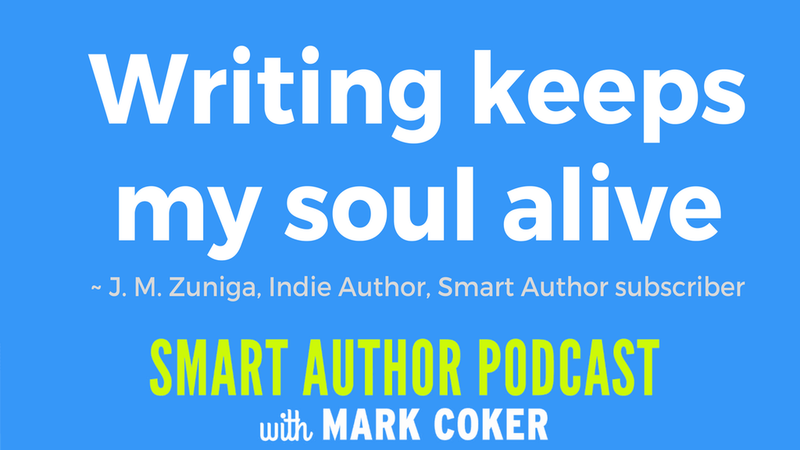 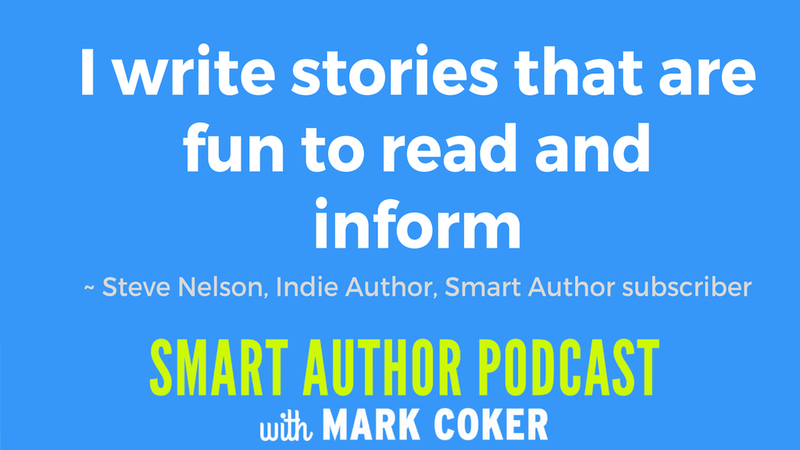 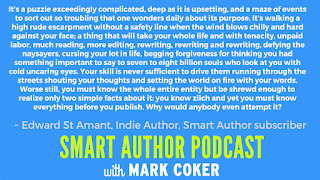 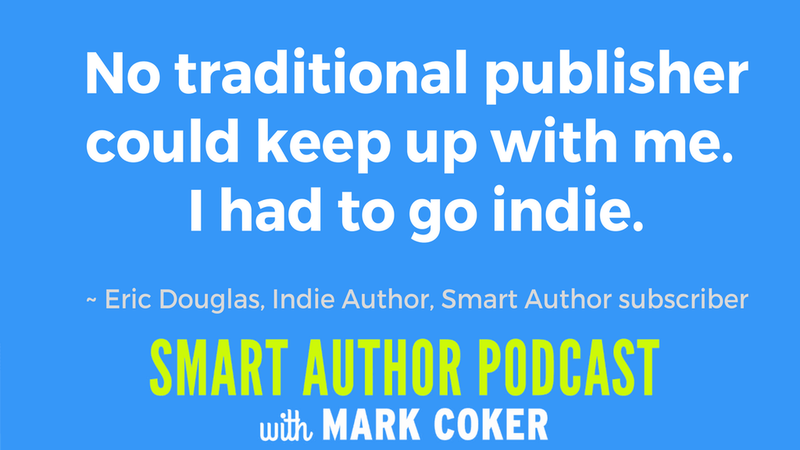 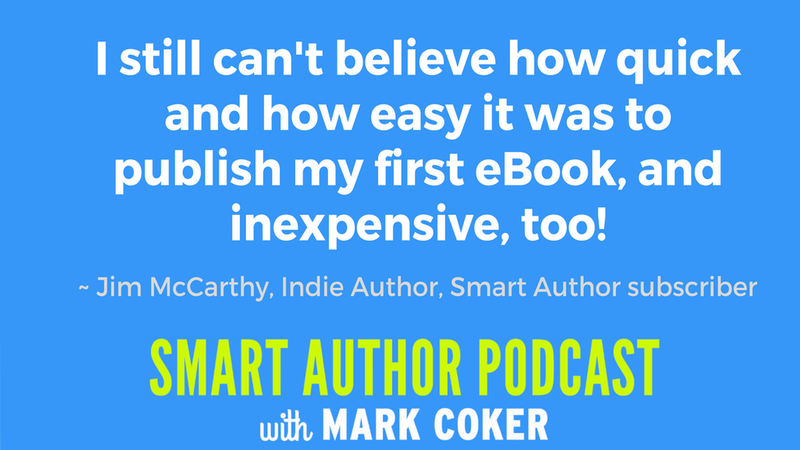 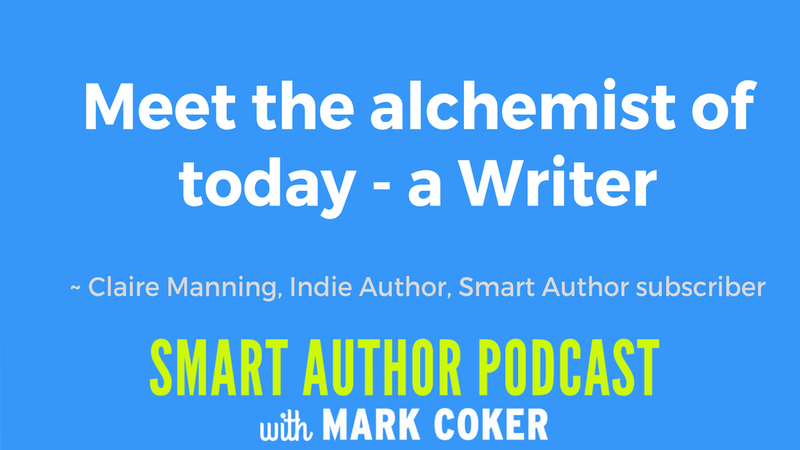 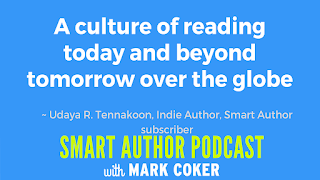 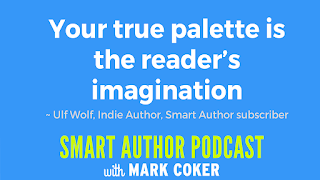 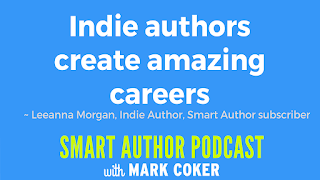 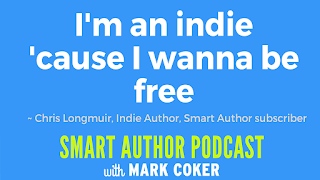 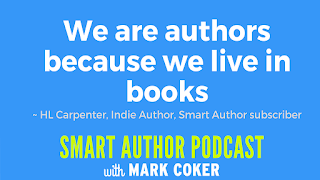 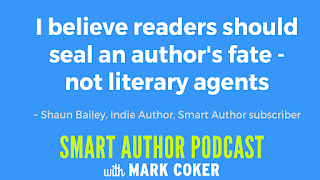 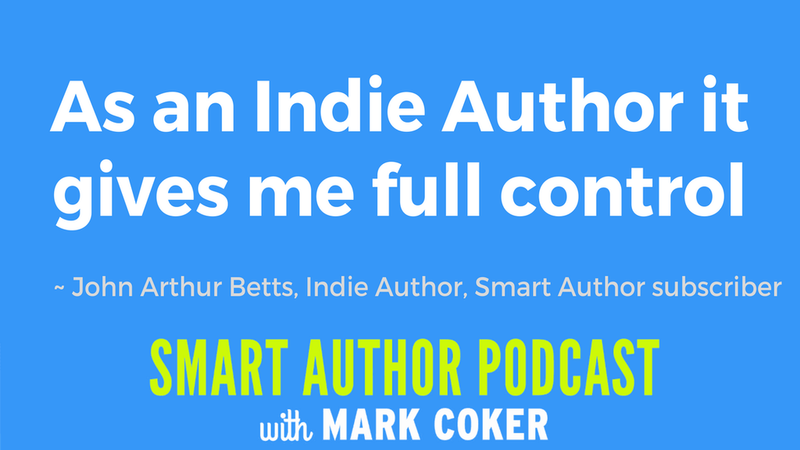 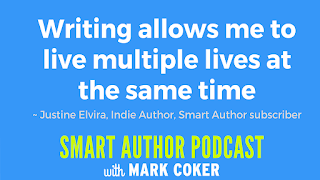 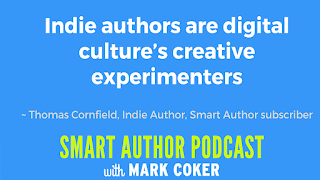 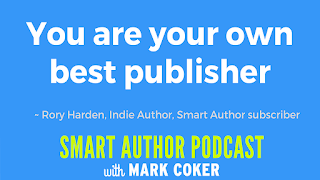 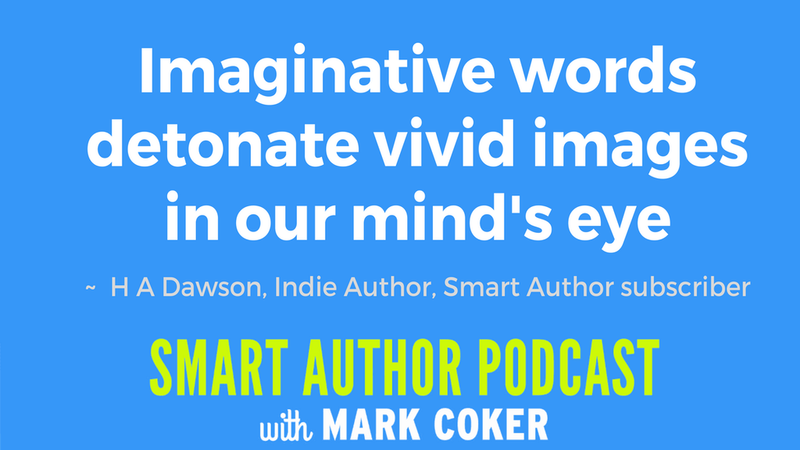 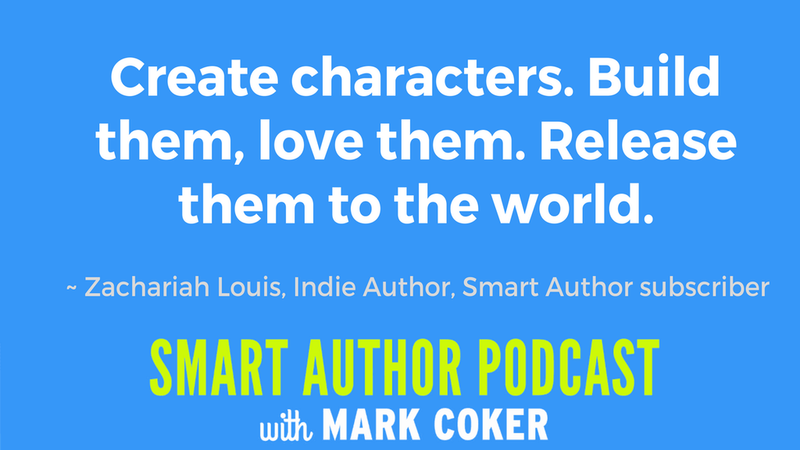 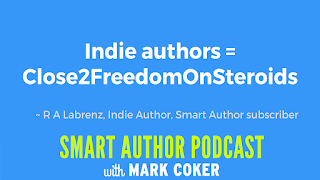 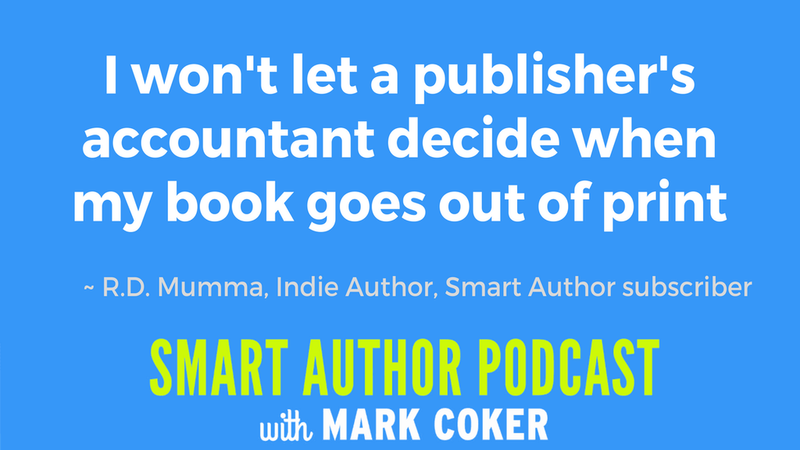 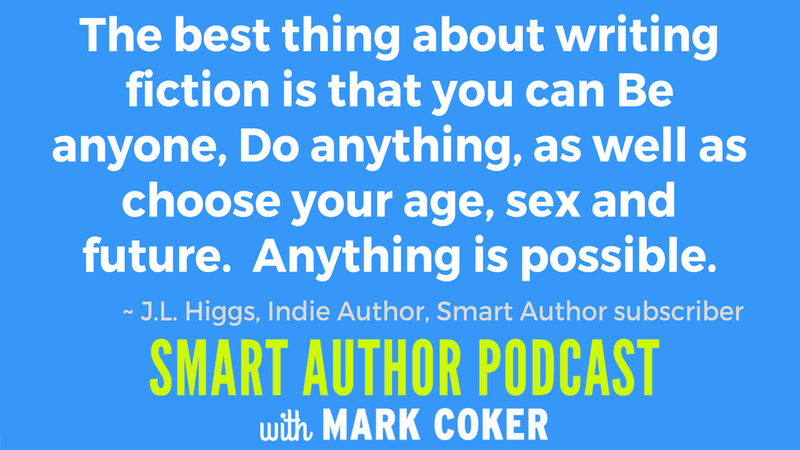 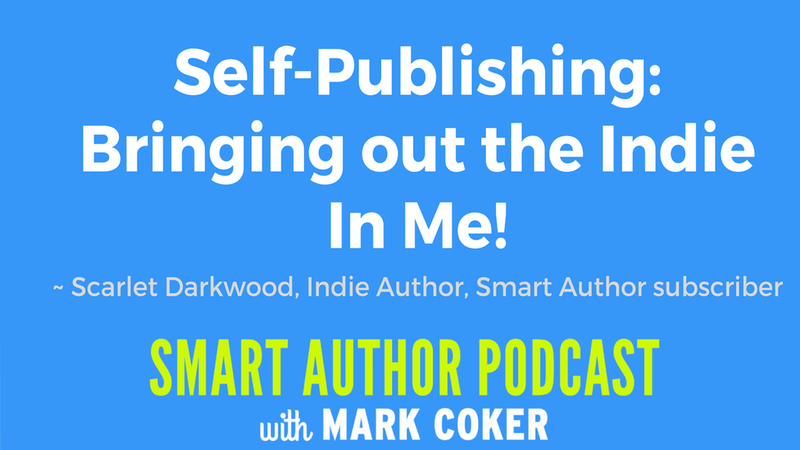 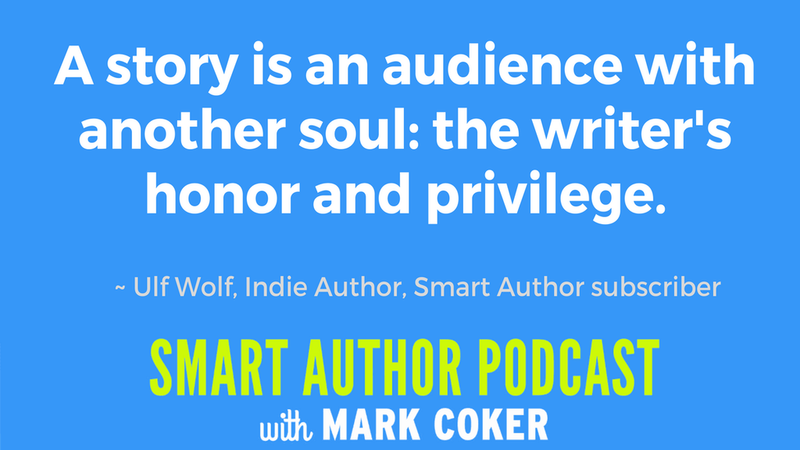 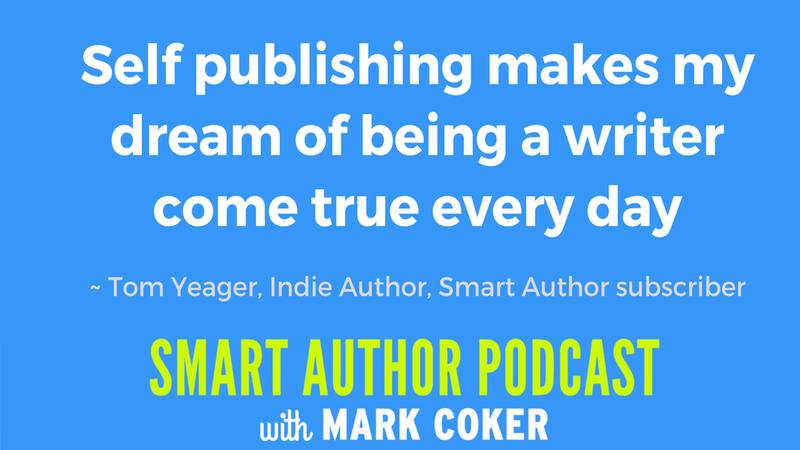 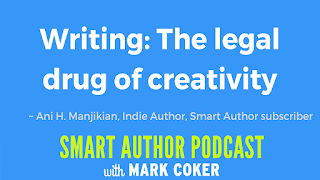 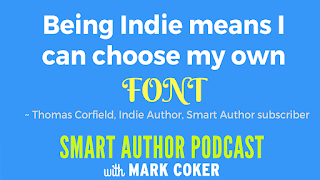 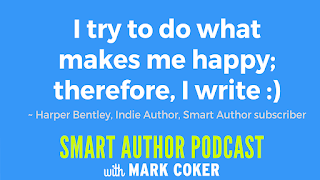 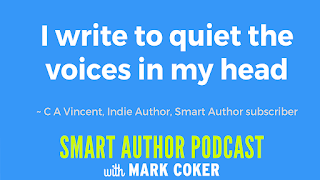 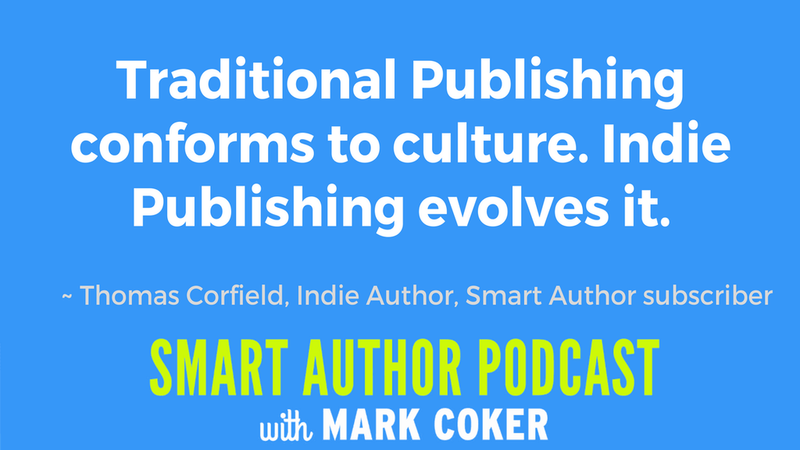 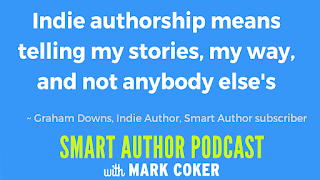 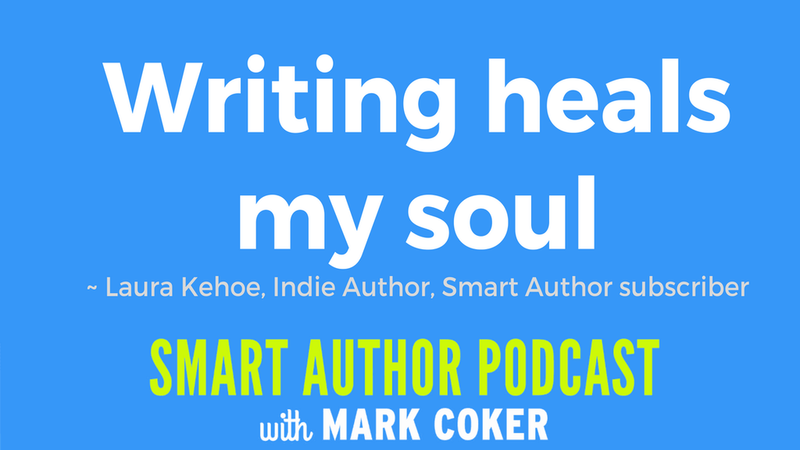 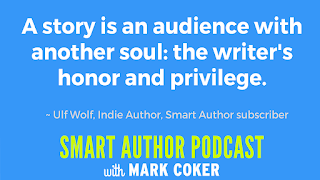 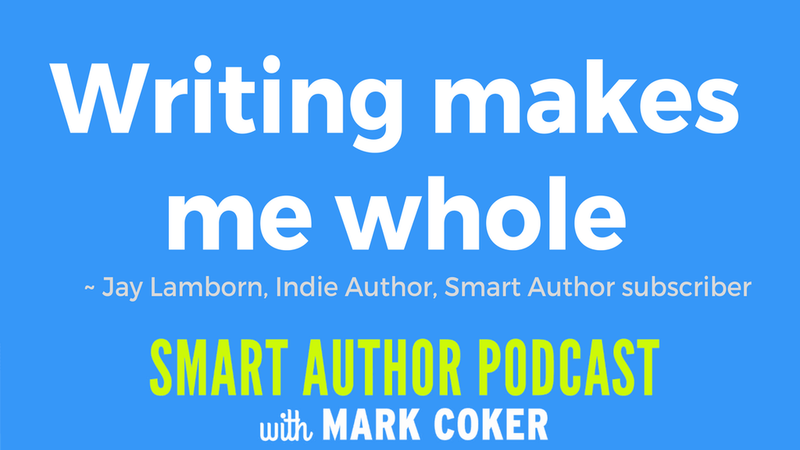 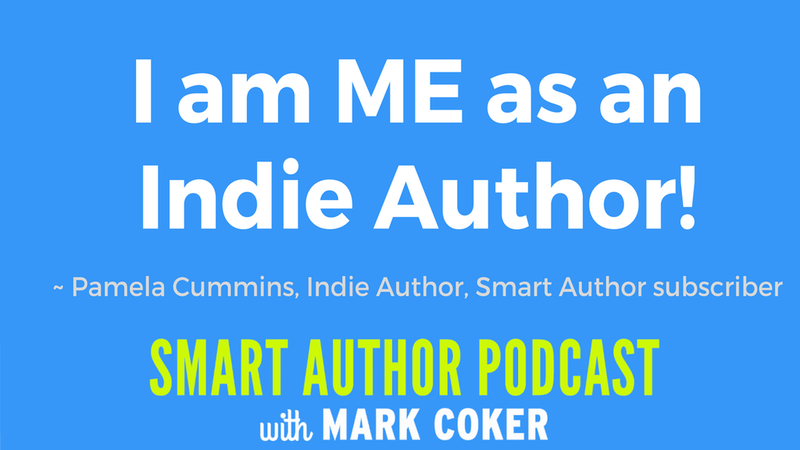 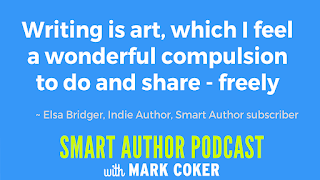 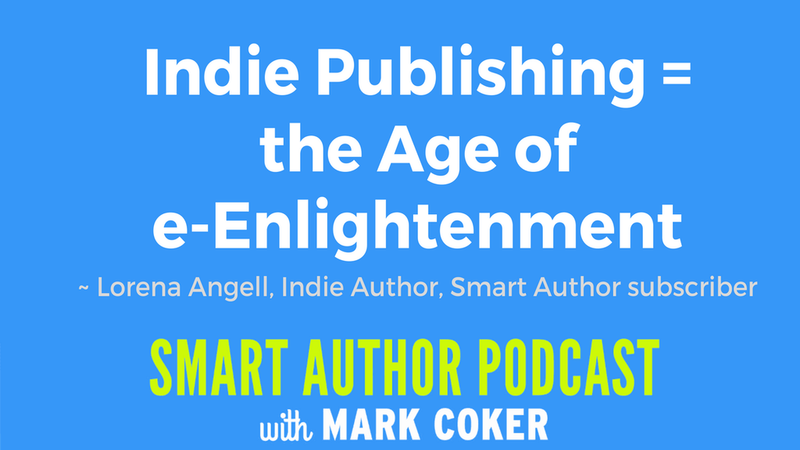 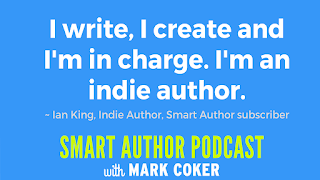 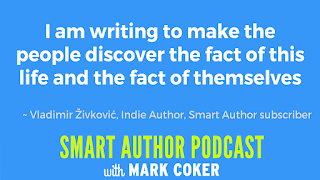 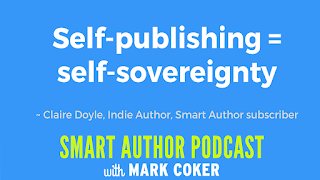 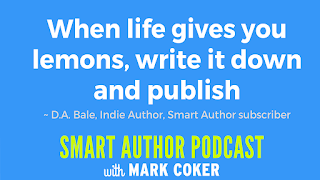 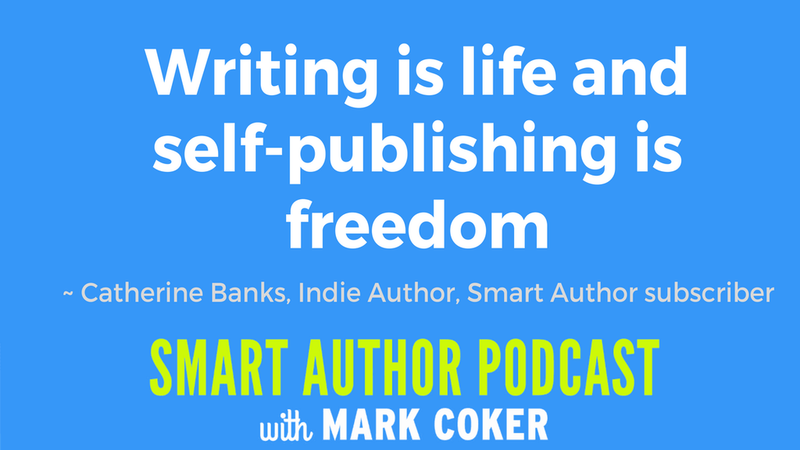 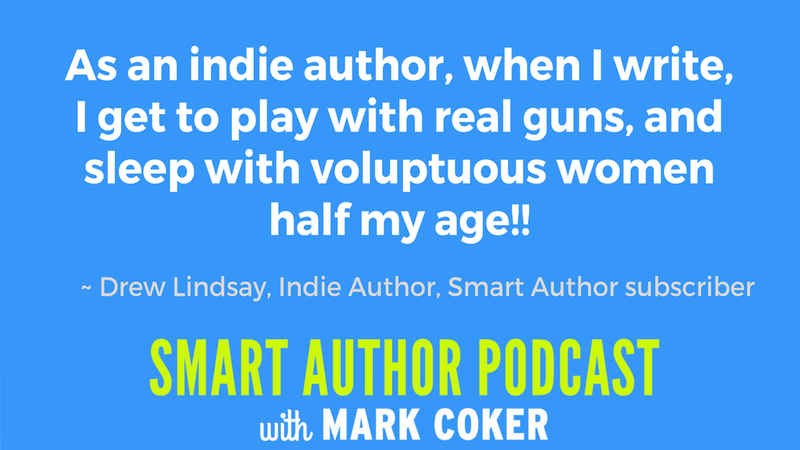 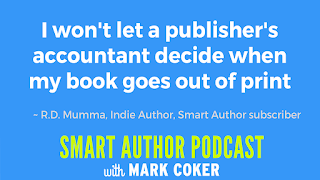 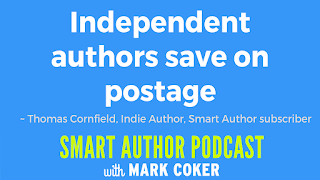 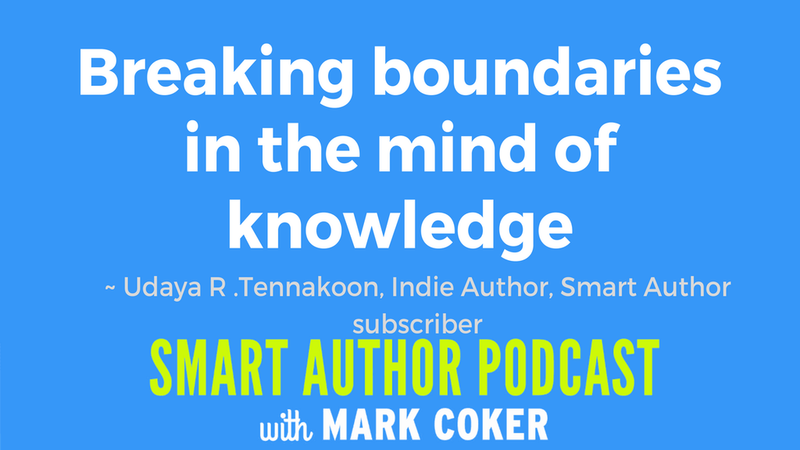 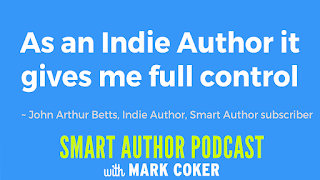 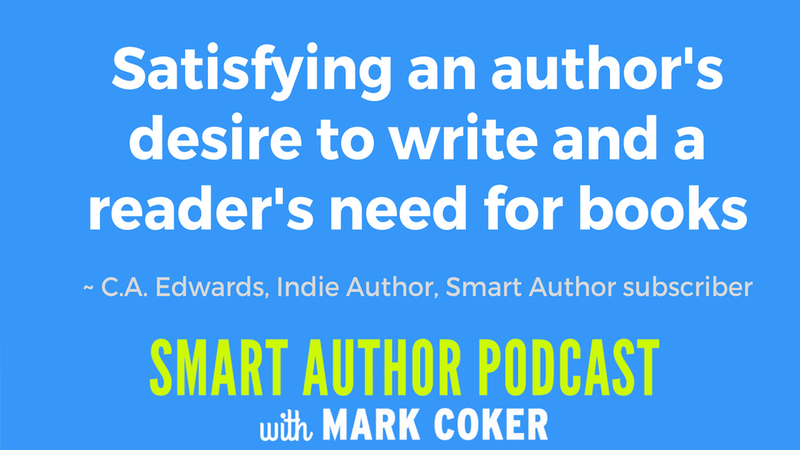 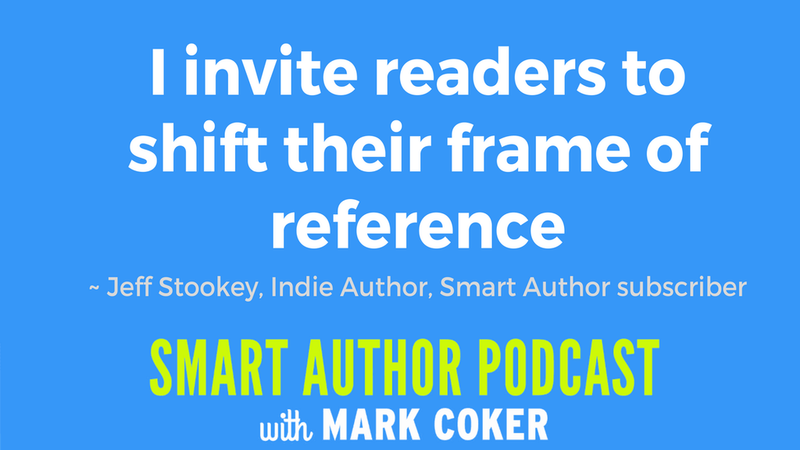 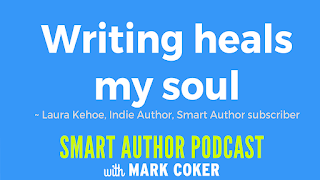 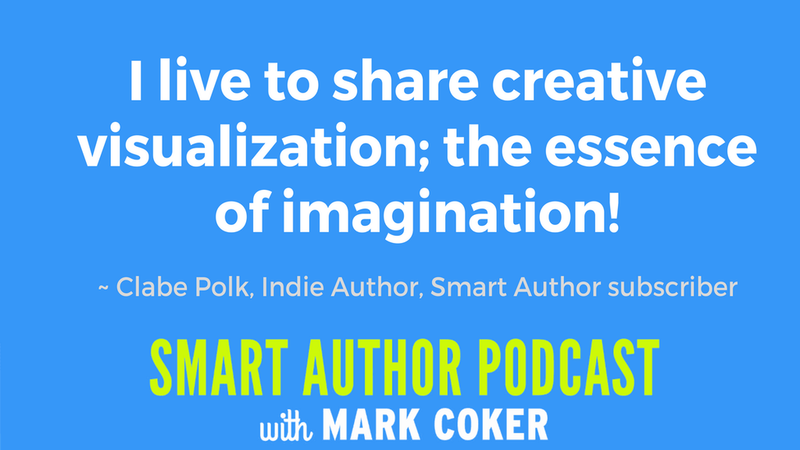 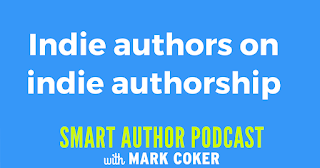 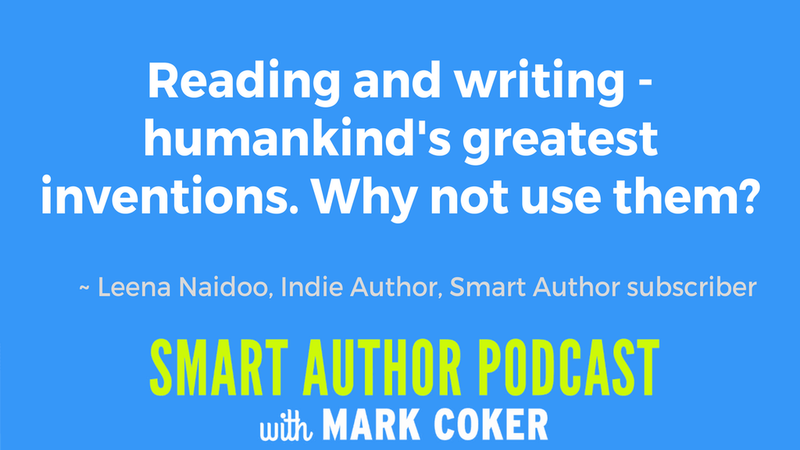 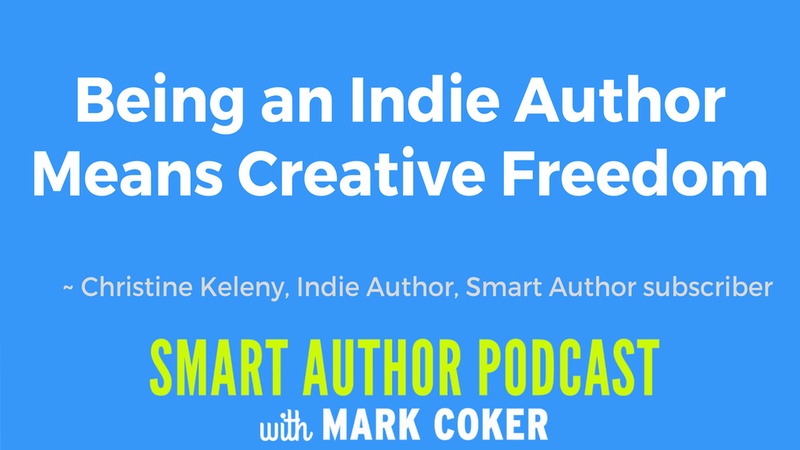 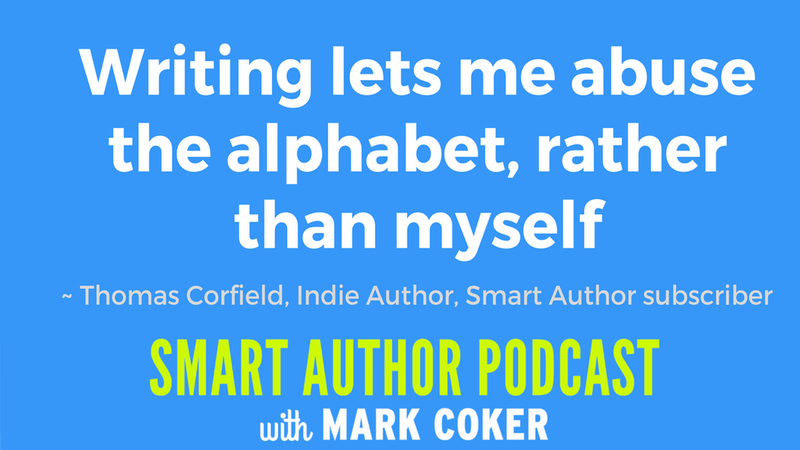 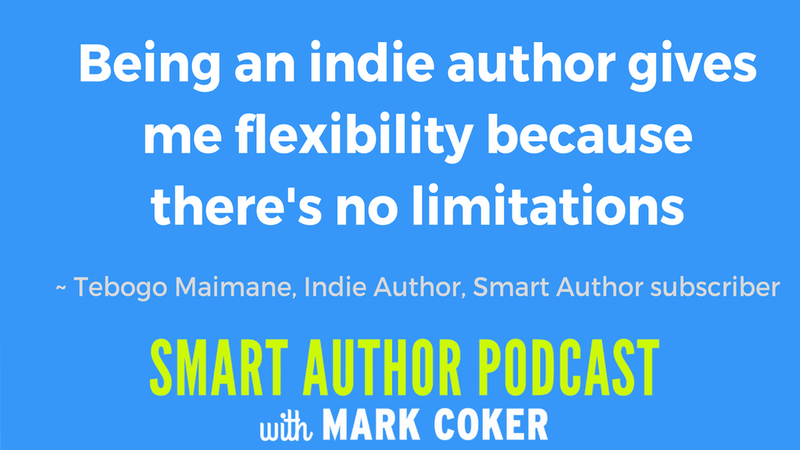 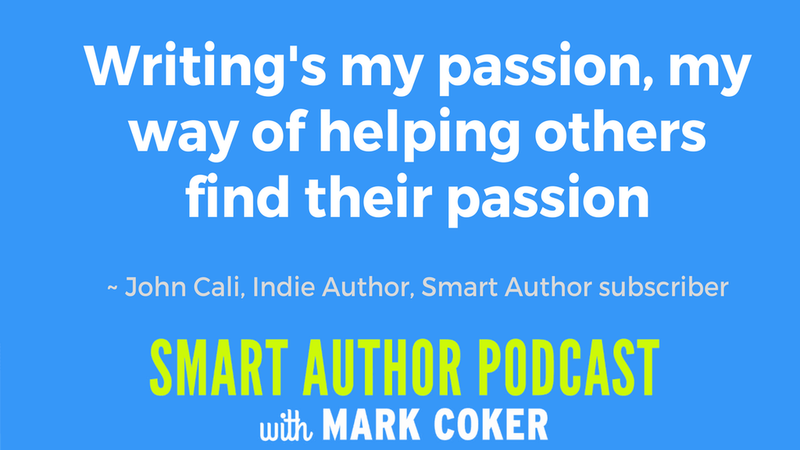 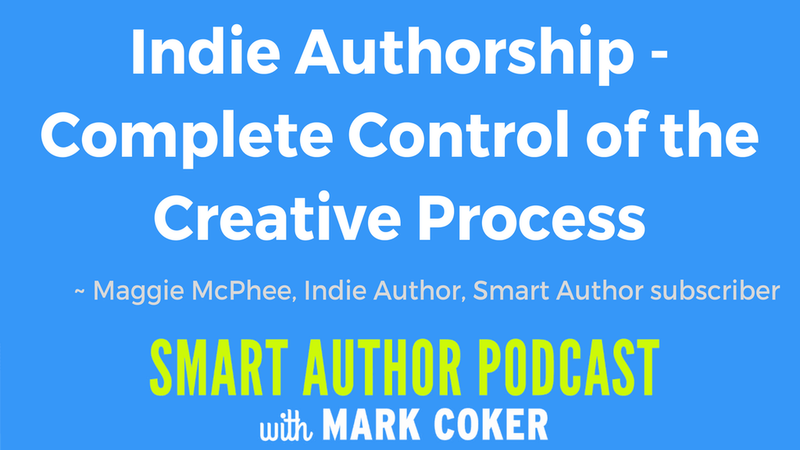 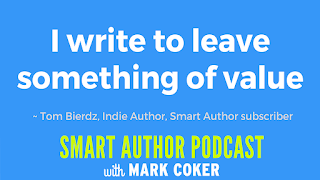 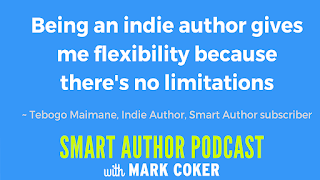 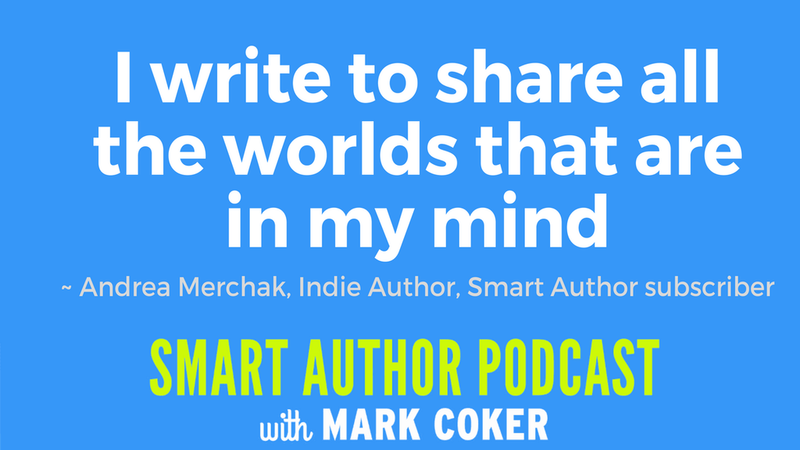 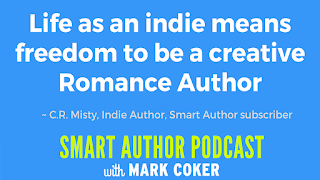 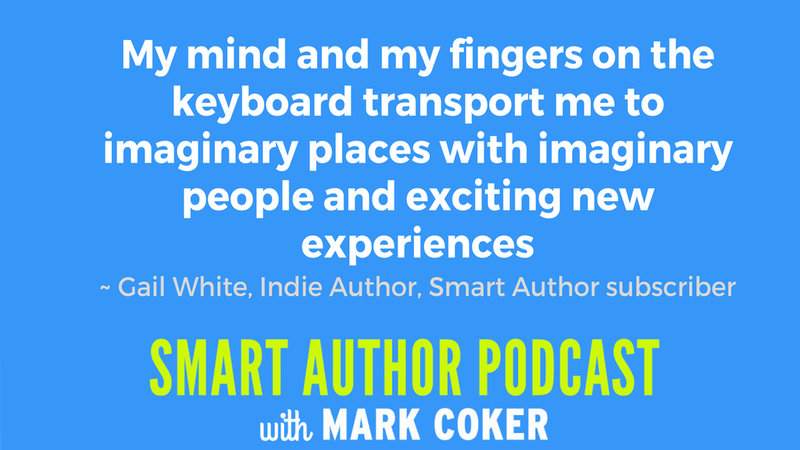 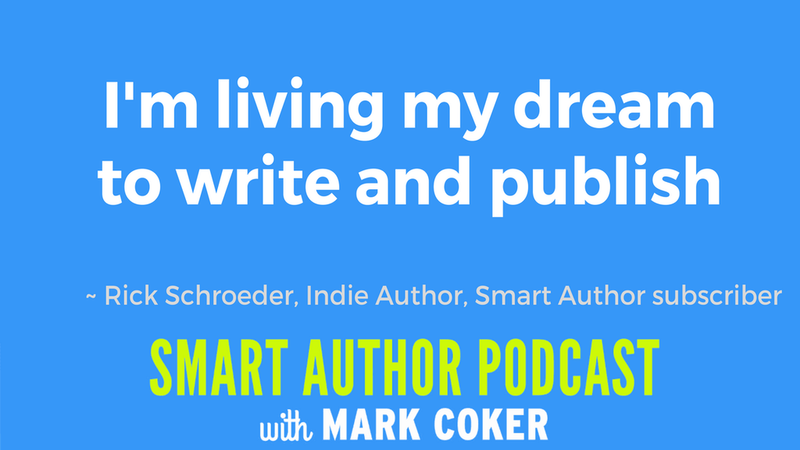 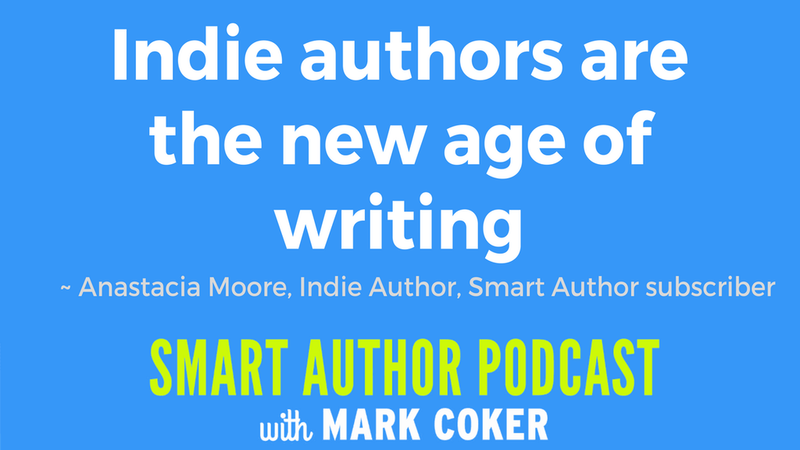 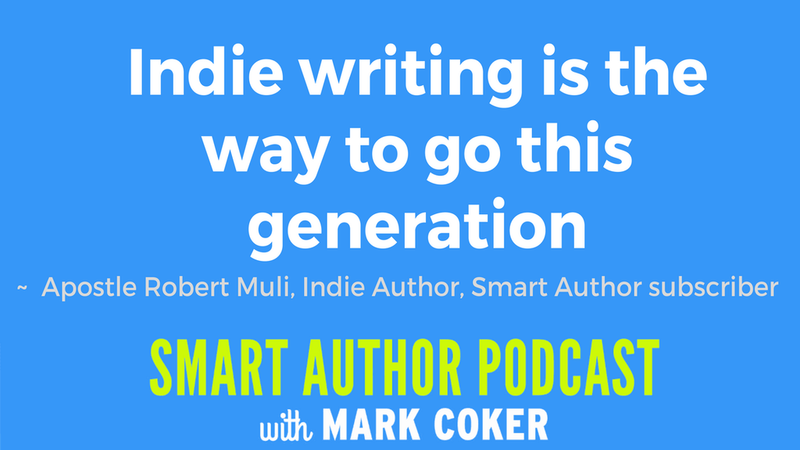 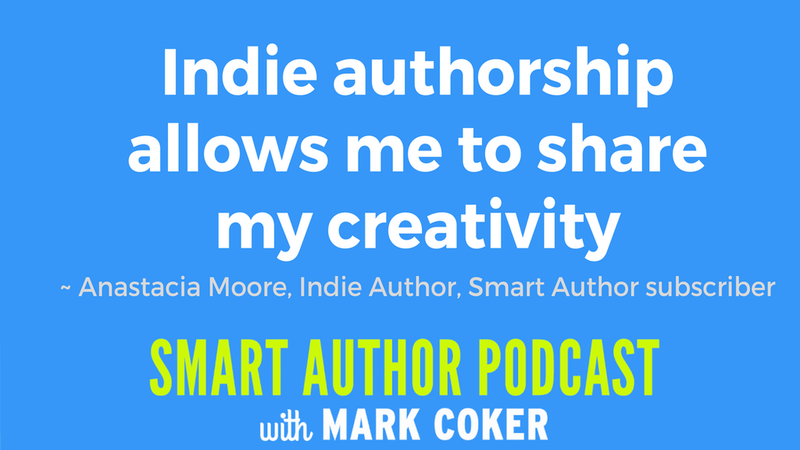 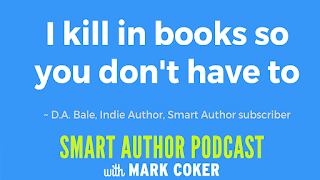 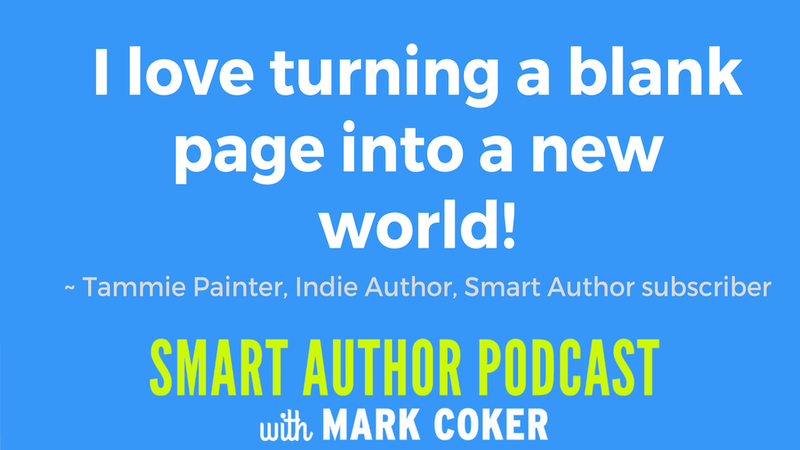 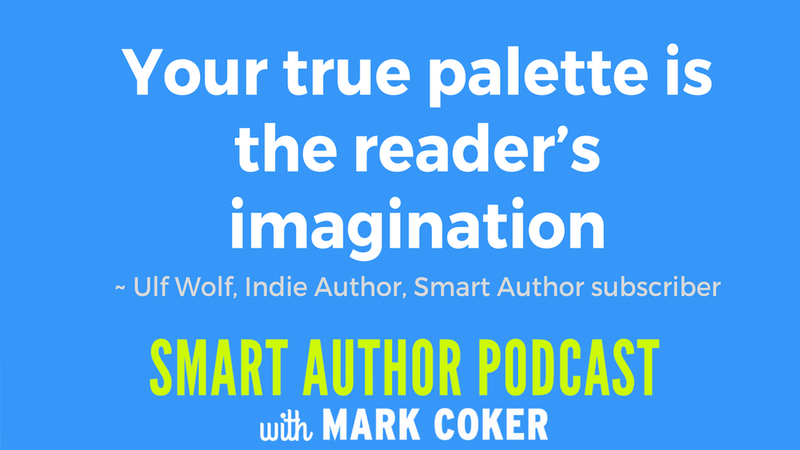 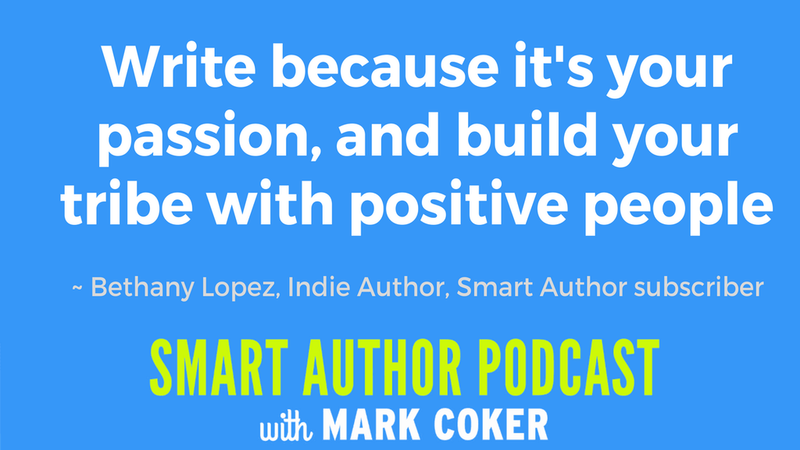 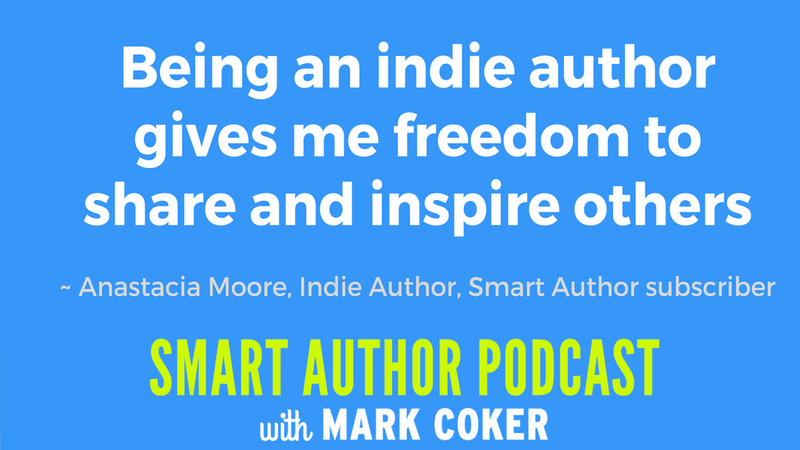 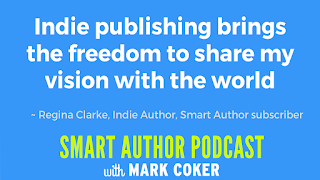 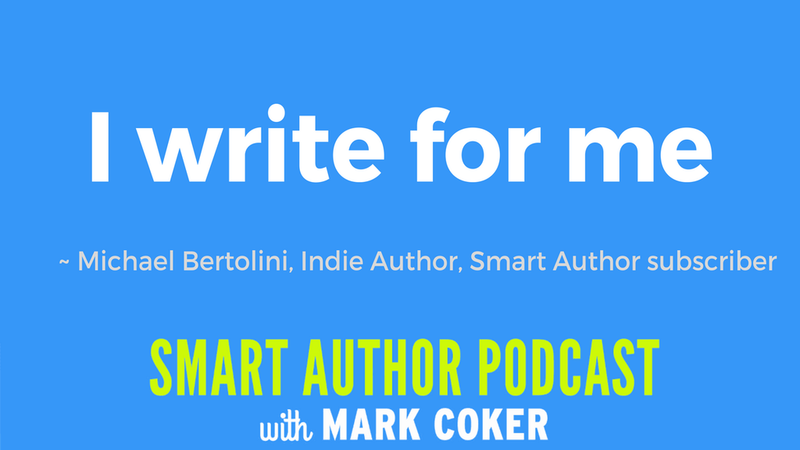 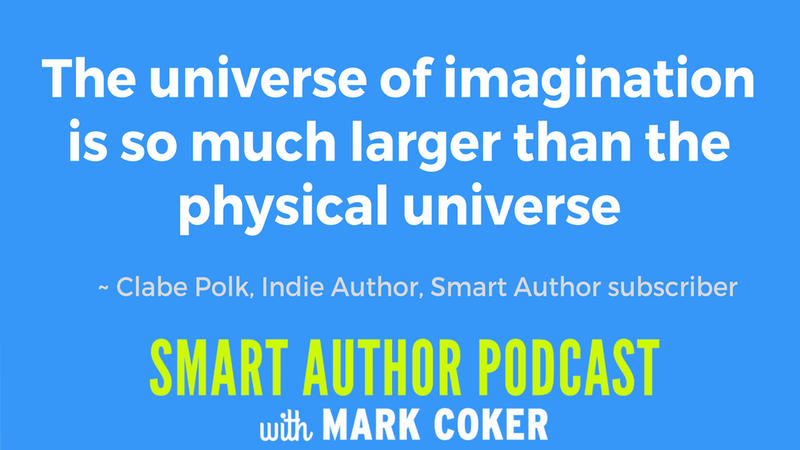 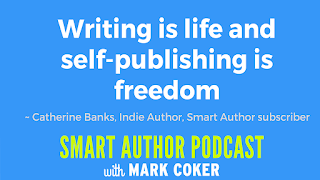 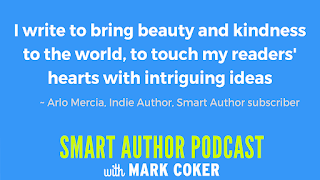 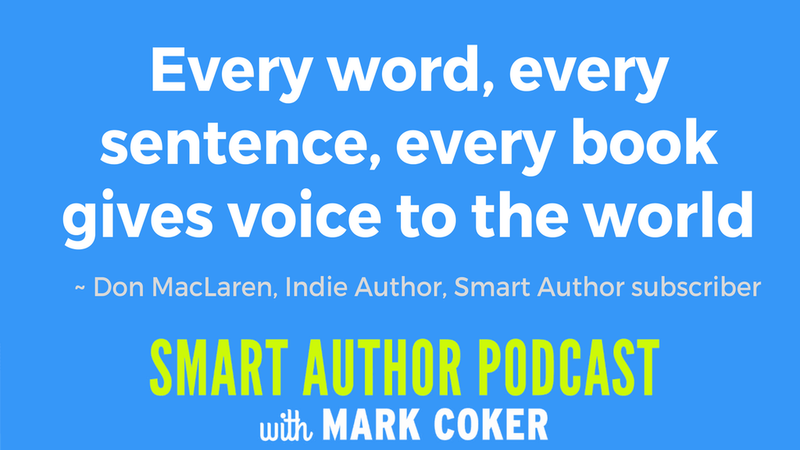 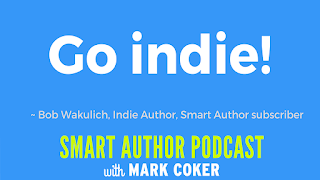 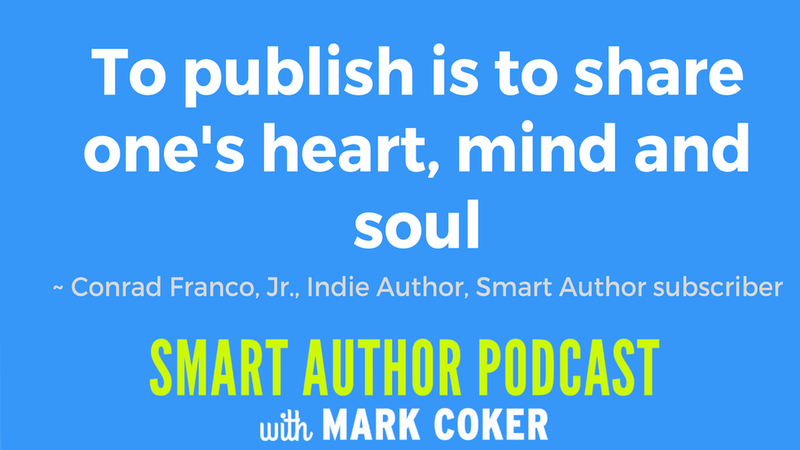 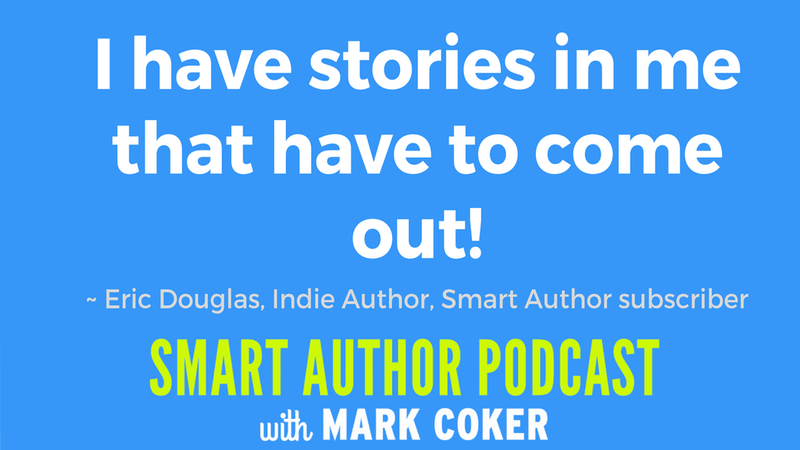 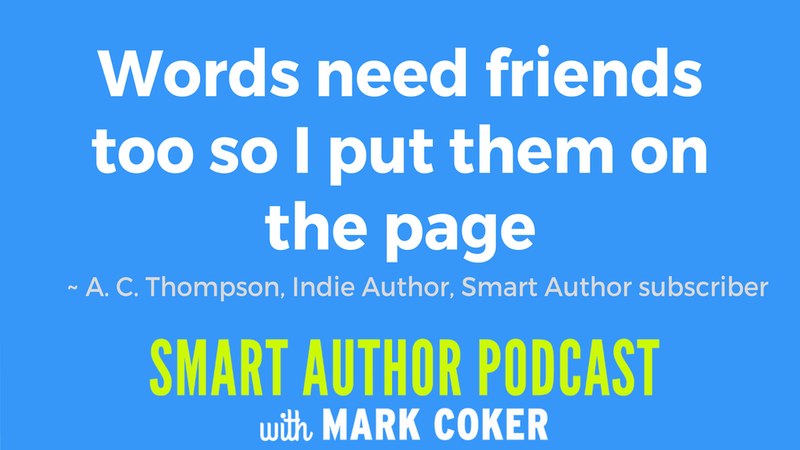 We asked members of the Smart Author Podcast launch team to share their thoughts on indie authorship. 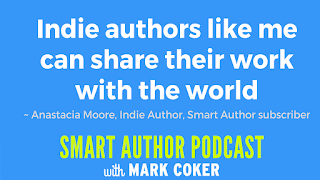 Here's what they shared. 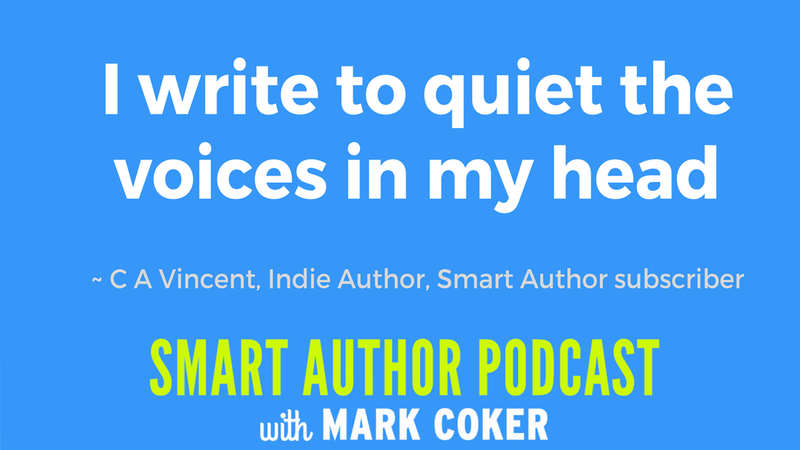 Their quotes run the spectrum from insightful, to heart warming, to hilarious to downright strange. 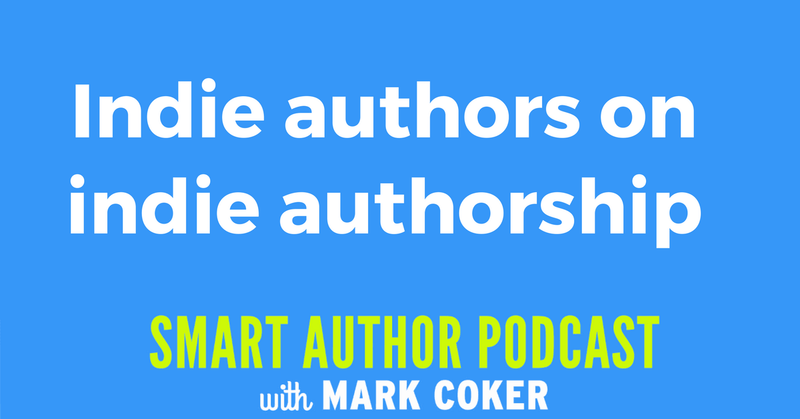 Just like authors. 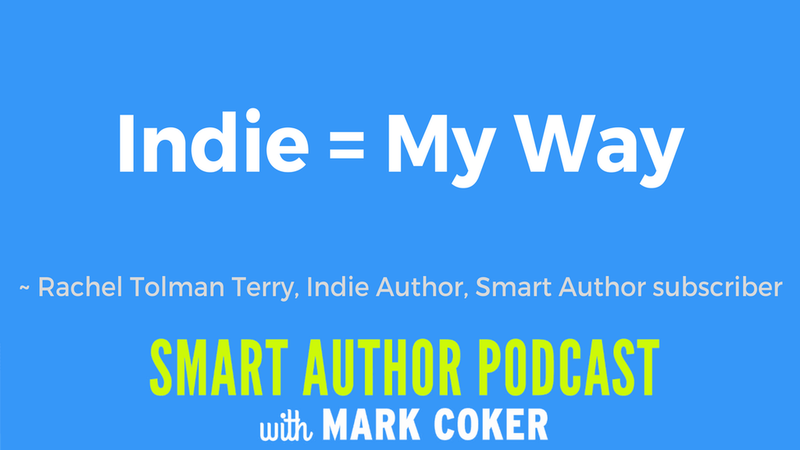 If any of these images speak to you, feel free to click to enlarge then download to your device or desktop and share. 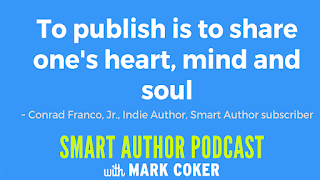 You can also find these quotes at Facebook at the Smart Author Podcast page, where you can like them and share them. 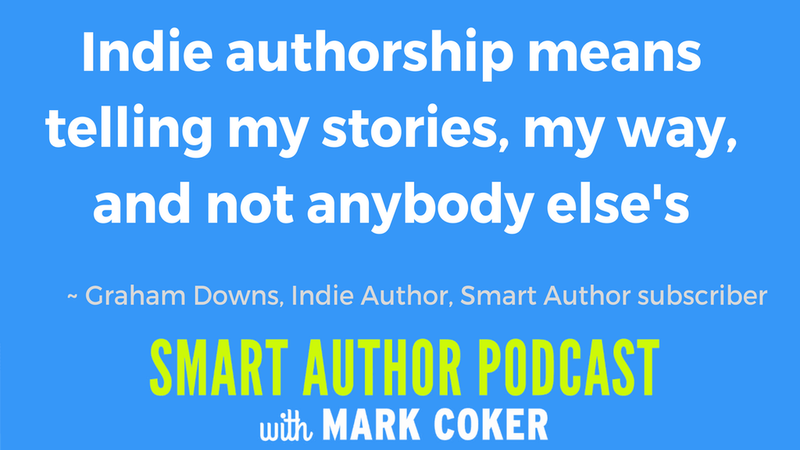 What does indie authorship mean to you? 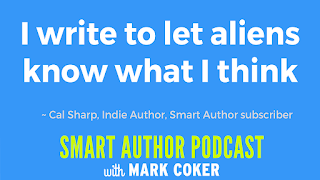 Add your own thoughts below in the comments. 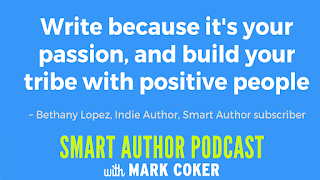 Thank you Mark for uploading my quotes. 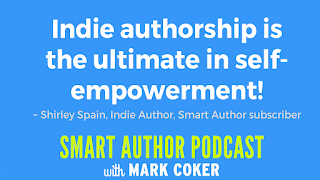 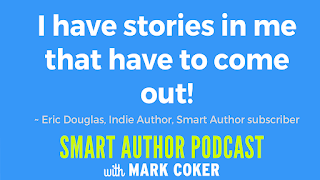 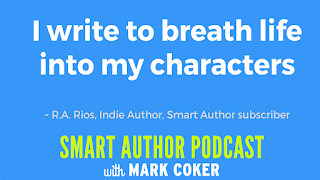 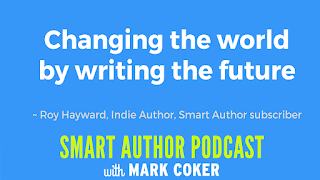 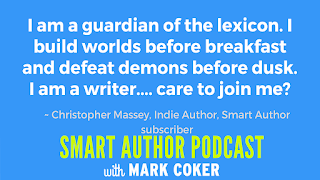 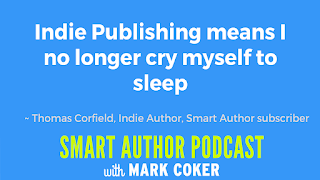 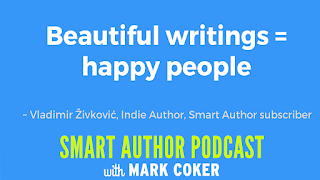 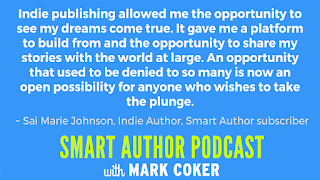 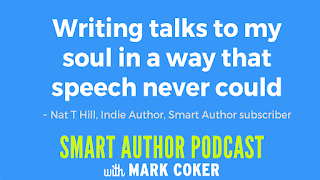 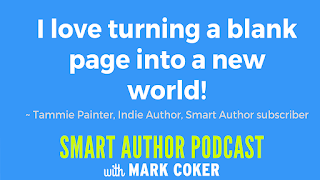 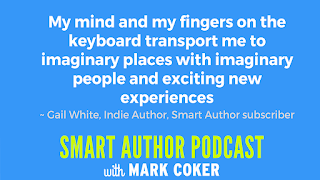 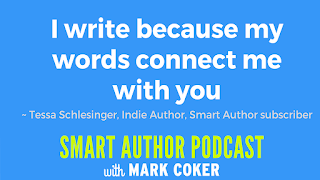 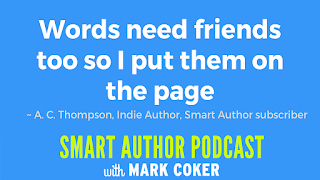 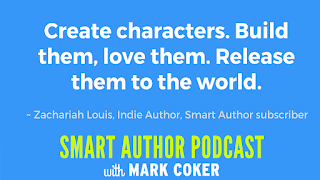 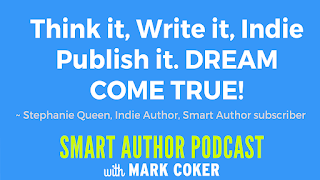 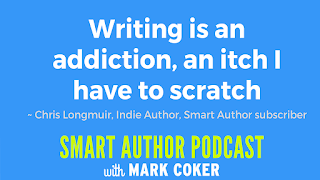 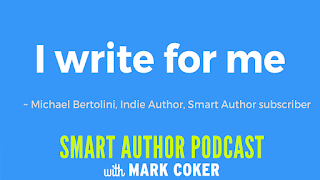 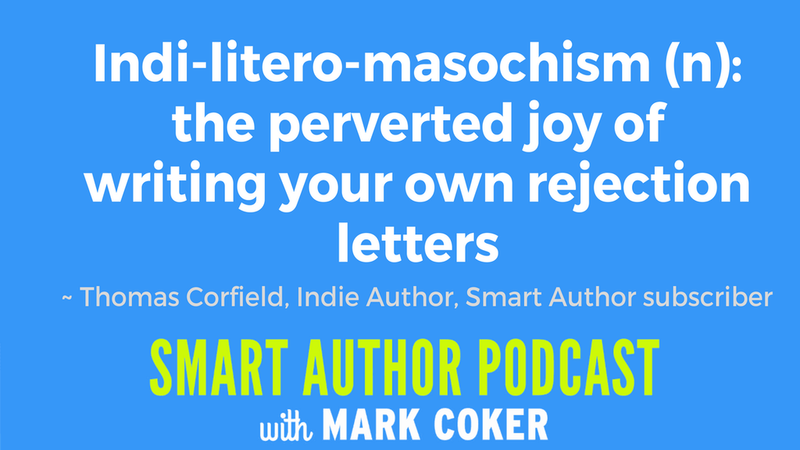 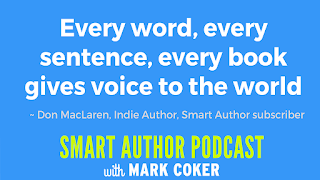 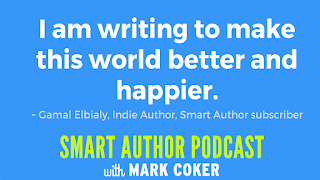 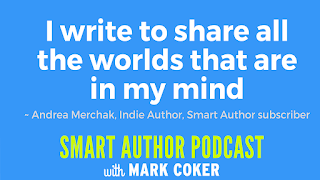 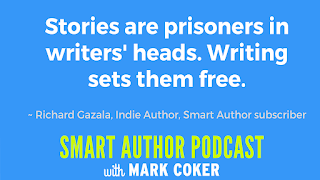 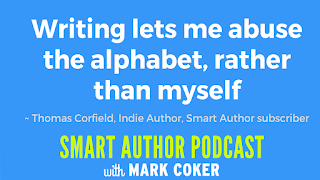 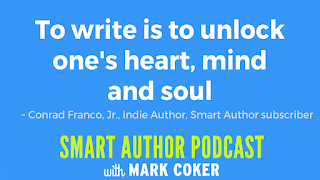 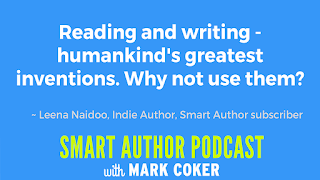 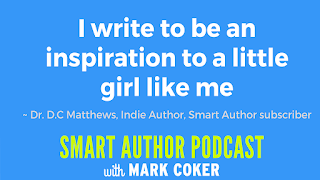 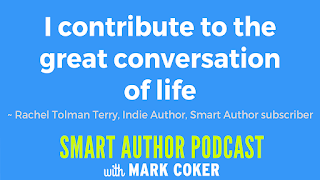 More power to you, the Smart Author Podcast and the whole Smashwords team. 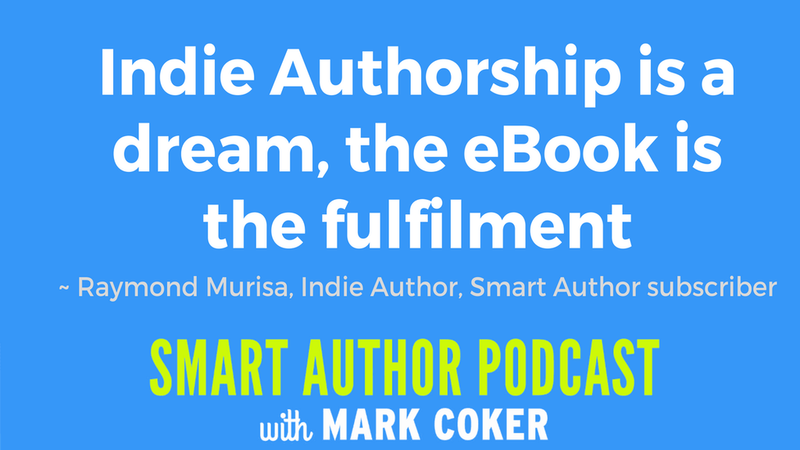 Wising the Smart Author Podcast much success. 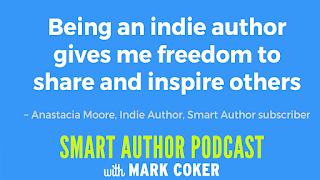 Inspiring quotes, mine is: Being a indie means, the only limits are your own and those of your imagination. 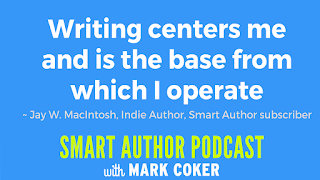 Thank you for including me Mark! 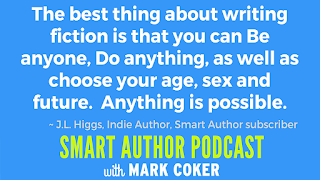 Mark, I've downloaded all these wise words, printed them out and pasted them all over my living room walls. 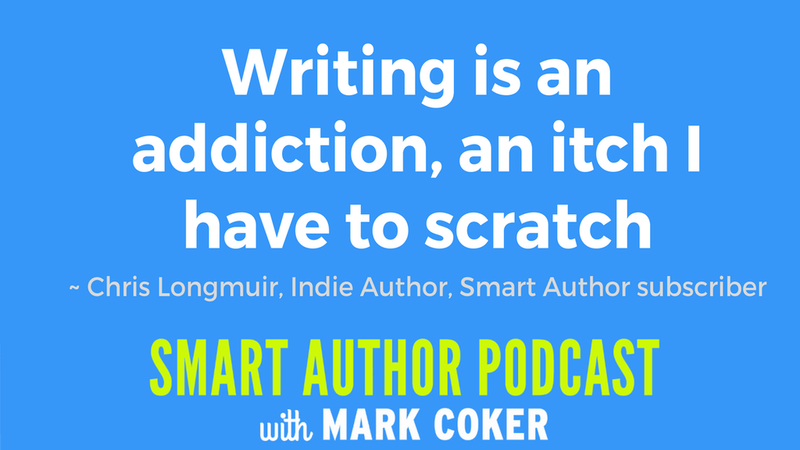 It looks a bit like wallpaper, but only if I squint and draw the curtains. 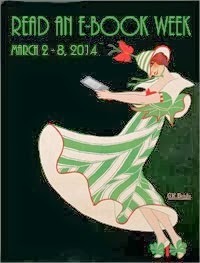 My wife hates it, but that's okay because we're getting divorced on Thursday. 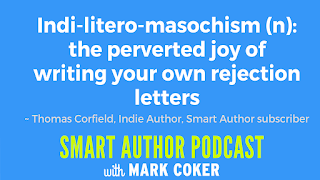 I intend to do the same to her living room once the restraining order expires, but that's more to annoy Robert, because it's his living room. 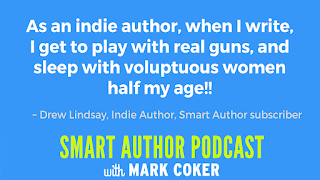 He's much better looking than me, has more money and is built like an industrial step-down transformer. 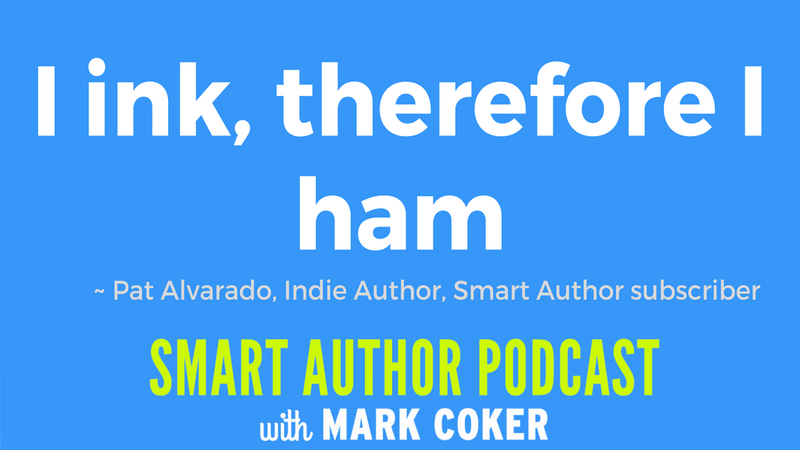 He also drives a convertible sports car, but I think that's because he gets confused by roofs. 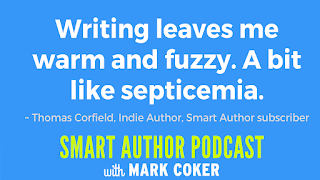 I'm okay with all of this, however, because I'm on some very heavy medication and have an excellent specialist. 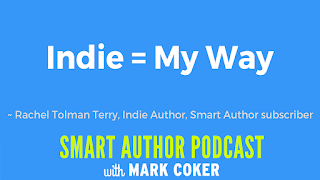 I'm also an independent author, which means that when I'm massively successful, Robert can go and $%@# himself, rather than my wife.